So the festive season is well underway and you're probably starting to think a little about the 2015 season ahead and what you can do to get yourself off to a flying start. It has been estimated that 80% of the adult swimming population will suffer from some degree of shoulder pain during their swimming life to the extent that it might cause you to stop swimming for one or more sessions at a time. As you may have read from our popular blog post Is Your Swim Fitness in a Permanent State of Snakes and Ladders? anything that causes disruption to the consistency of your training is well worth addressing, especially when this particular issue of shoulder pain management is relatively easy to fix with a few key areas to remain aware of whilst you're swimming. We've discussed the causes of shoulder pain in various posts (e.g. here and here) in the past but today we wanted to just focus on four points which we'll call our "Shoulder Pain Checklist" that you can easily incorporate into any session from today as you swim. These simple points will be especially beneficial to you if you start to feel some discomfort. With the estimate that 80% of us will experience some shoulder pain when swimming at some point in our lives, the chances are you've already experienced some discomfort. So let's get cracking! 2) Whichever shoulder is giving you trouble, try breathing more frequently to that side for several hundred meters. This will force you to rotate better to that side and consequently reduce some of the pressure on that shoulder. Even just being conscious of rotating more to that side will help. 3) Try shortening the stroke just a smidgen (5cm less reach - whilst hardly noticeable - can make a big difference for those with overly long strokes), spearing a little deeper and elevating the stroke rate just a touch puts little less load through each stroke cycle. 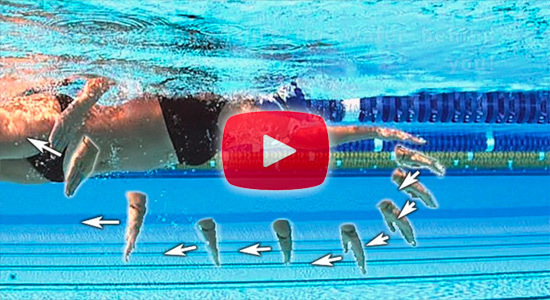 Many swimmers have been taught - or led to believe - that by actively gliding at the front of the stroke they will be more efficient. Unfortunately this stochastic stop-start type of stroke leaves the shoulder in a very vulnerable position stretched out under load in front of the head in full shoulder flexion. Swimmers who wait patiently with their hand out in front of the head until the next stroke almost catches up tend to be in a totally flattened body roll position by the time they commence the catch. This puts significant stress on the rotator cuff muscles and is exactly what we want to minimise. Even if you don't feel like you have any pause-and-glide in your stroke, try spearing a little deeper and lifting the stroke rate, you might be surprised how much this will help. 4) Try straightening the arm a touch during the recovery phase over the top of the water rather than aiming for the classic high elbow recovery with the elbow pointed to the sky and the finger tips trailing over the surface of the water. Whilst this goes against conventional wisdom, a straighter arm recovery for many swimmers with reduced flexibility and less experience in the water can actually be more efficient and less injurious to the shoulder. Combine a slightly straighter arm with a focus on loose shoulders and good mobilisation of the shoulder socket. Remember, most swimmers do experience some degree of shoulder fatigue / soreness at some point in their swimming lives so rather than thinking of this as a fact of swimming life, take the steps above to counter the problem as soon as it starts occurring. 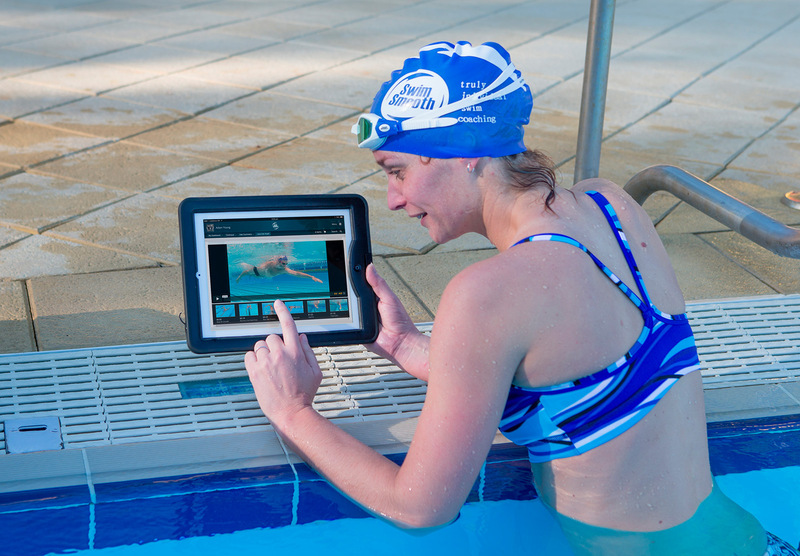 Of course booking in for a 1-2-1 video analysis session with one of our Swim Smooth Certified Coaches is not only the best way to improve your speed and efficiency but also the best way to identify and correct issues in your stroke that can cause injury - highly recommended for anyone experiencing any level of pain. Here's to a great 2015 season - Swim Smooth! Wow! 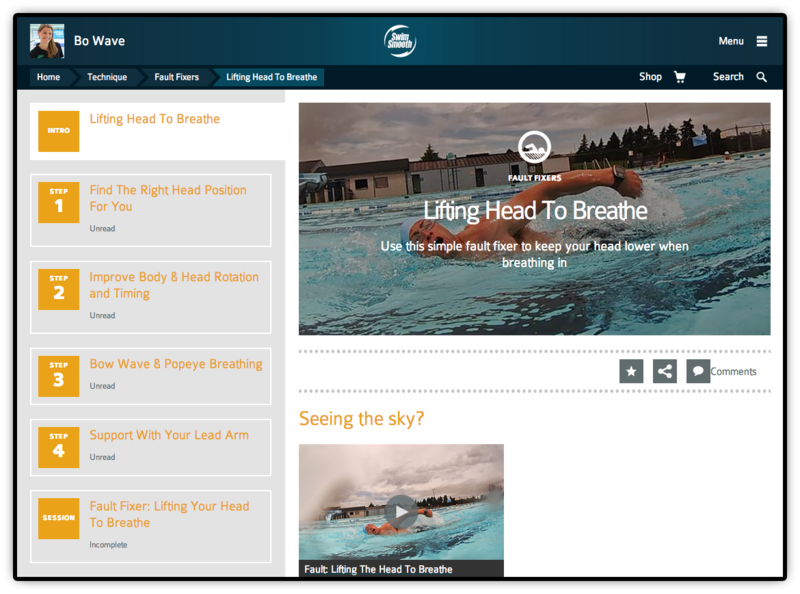 Interest in the new Swim Smooth Coaching System has been amazing with over 1000 of you subscribing since the launch last week - way beyond what we could have ever hoped for! Creating the system has been a real labour of love for us and it's fantastic to hear your messages and comments about how much you're enjoying using the system. 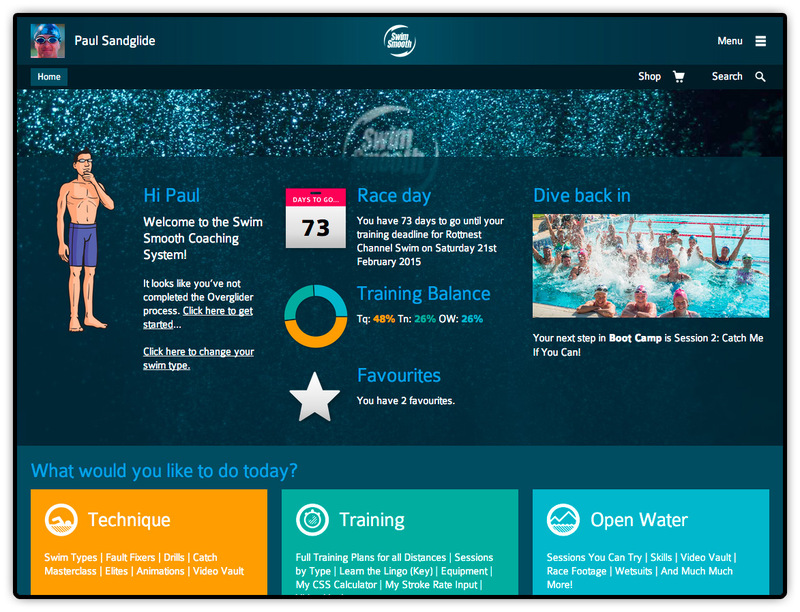 The new Swim Smooth Coaching System brings all of Swim Smooth's coaching to your fingertips on your phone, tablet or computer - in fact anywhere you can access the internet. 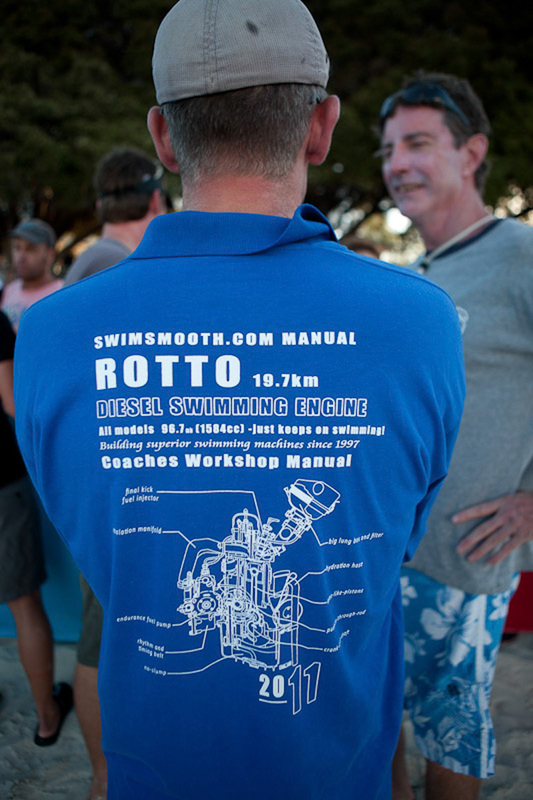 It's an intelligent system that tailors coaching and training sessions to your individual needs to improve your stroke technique, swim fitness and open water skills. 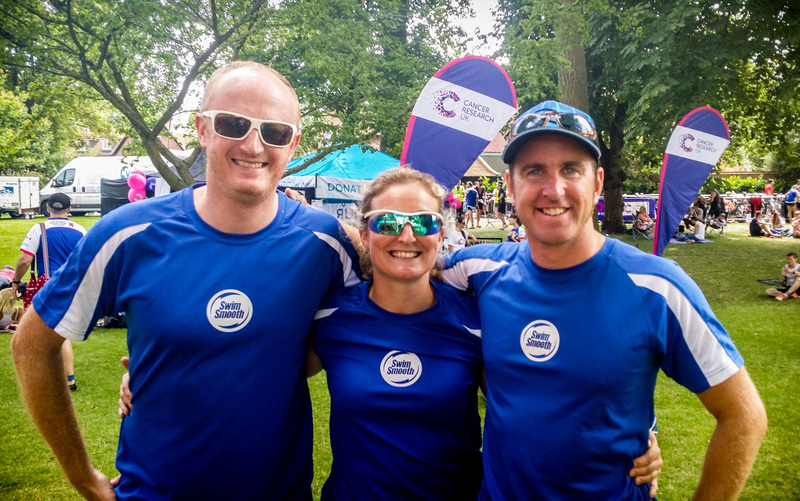 Janine Willis, Champion Age Group Triathlete: "This app is amazing, there is so much info it feels like you literally have Paul there coaching you!" - Is there a tie in period when subscribing? No you can unsubscribe at any time at the click of a button in the Account Settings area. In fact if you are unhappy with the system you can contact us and claim a full refund in the first 14 days. - Can I take a look around the system before subscribing? Yes we have a 48 hour free trial for you to take a good look around before committing to a monthly or annual subscription. - I'm a coach, what subscription do I need? You should use a normal single user license, either monthly or annual. 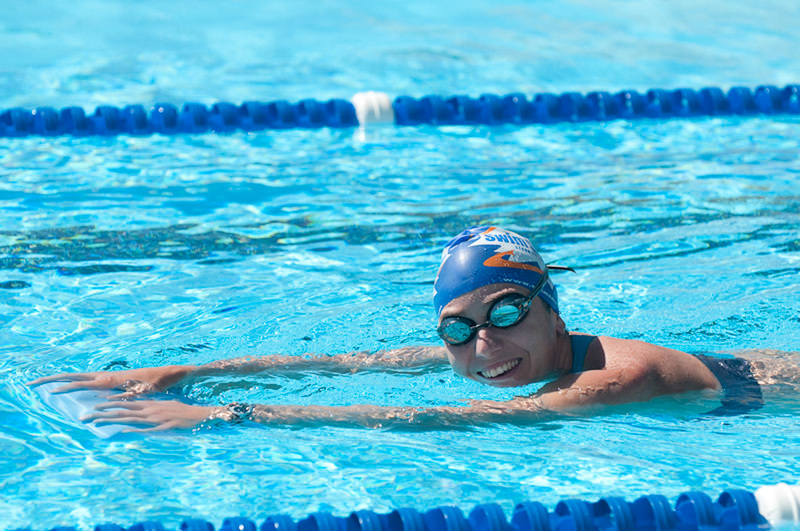 Any user can switch between coach and swimmer modes at any time. If you are a club with multiple coaches, choose one of the group licenses instead. - I'm on a slow connection, how do I lower the bandwidth of the videos? This should happen automatically on your phone or tablet but if you on a computer just go to the bottom right of any video and un-click the 'HD' button. - Do I need an internet connection to use the system? Yes you do, unfortunately the content is just too extensive to download everything onto any current device. - I can't view the website on Google Chrome on my PC! Sorry about that, we fixed this bug yesterday, it should work fine for you now. If you have a question yourself, just send us a quick email to customerservice@swimsmooth.com and we'll get right back to you. 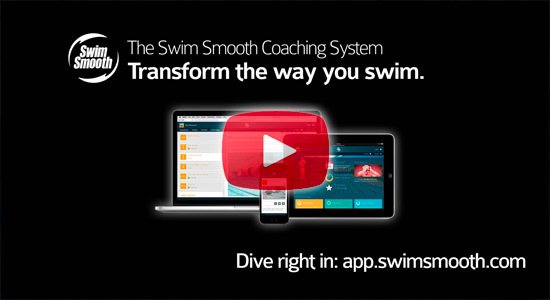 Announcing: The All New Swim Smooth Coaching System - For Swimmers, Triathletes And Coaches! Nothing happens if you do not first dream it… This was our dream, we hope you like it. 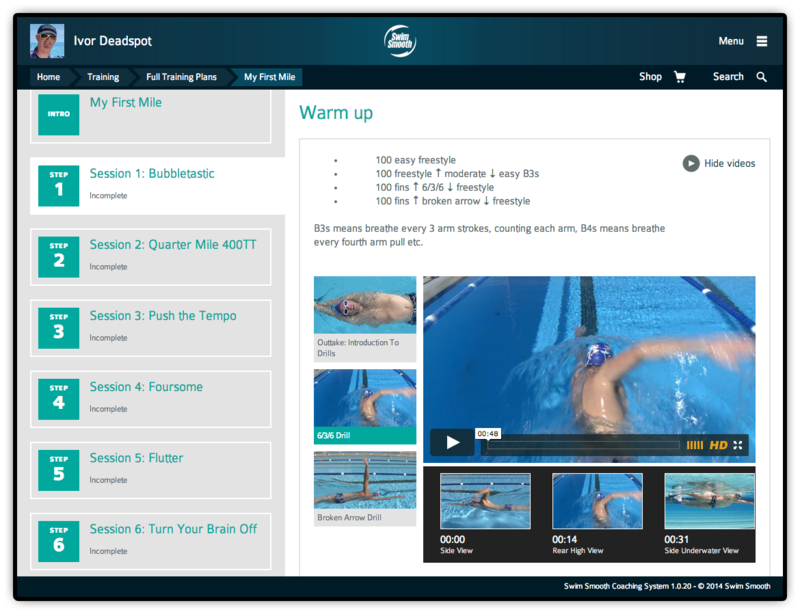 Featuring over 20 hours of never-seen-before Swim Smooth coaching video to work on all aspects of your swimming and over new 300 training sessions for you to follow, this unique web-app brings our whole award winning coaching system together in one place. First the system cleverly configures itself to your level of swimming and individual Swim Type, then informs and inspires you on how to move forwards. 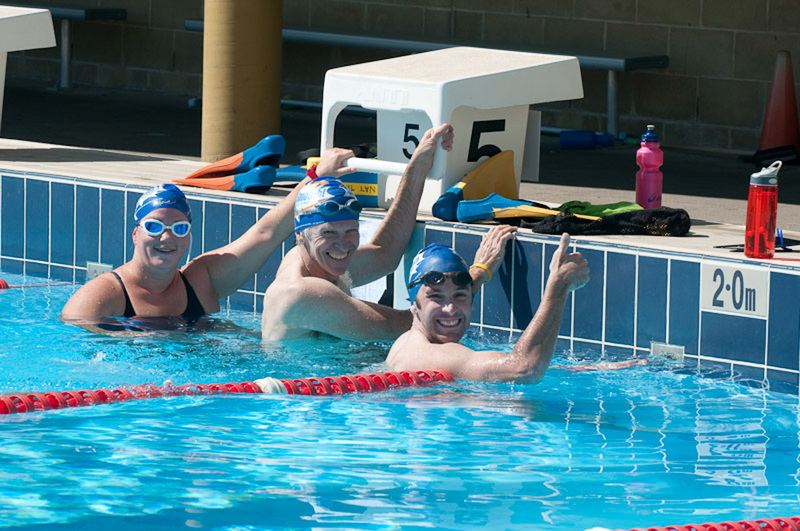 Follow the simple step-by-step instructions and you will quickly make some big strides forwards with your freestyle swimming in the pool, open water and triathlon events! 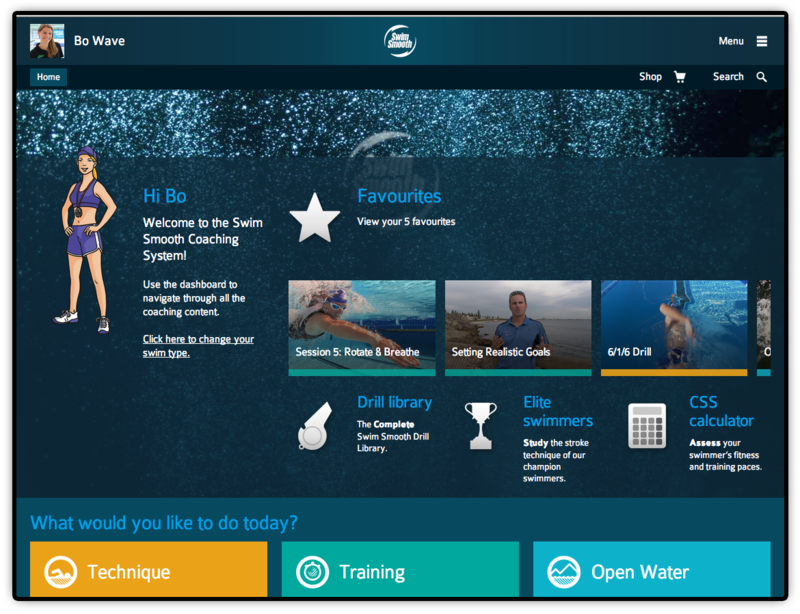 The Swim Smooth Coaching System is a revolution in swim coaching resources, having everything at your fingertips from simple pointers and videos through to training plans and ideas makes this a must have for any coach, or swimmer who utilises Swim Smooth methods. I have found myself lost in the system (in a good way!) watching video after video and reading session plan after plan, which makes me think about how I can adapt, use and deliver some of the ideas in my sessions. 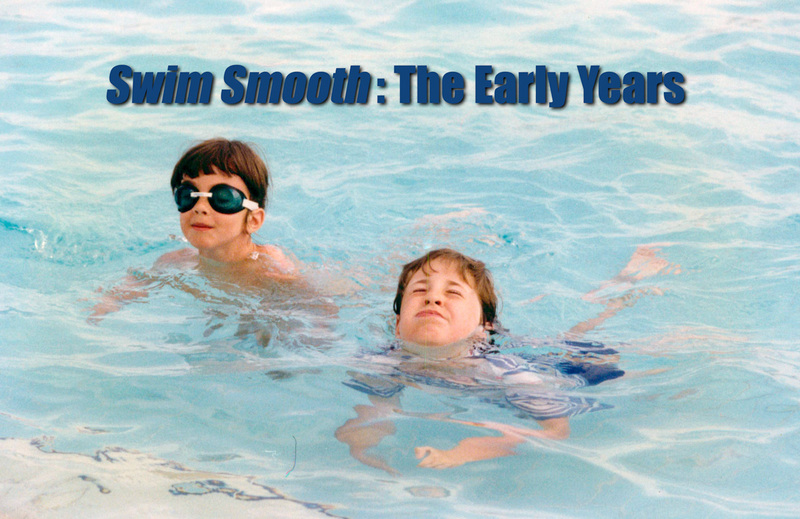 This is all of Swim Smooth's ideas and philosophy put together in a seamless one-stop package with inbuilt intelligence to guide you smoothly through the system. 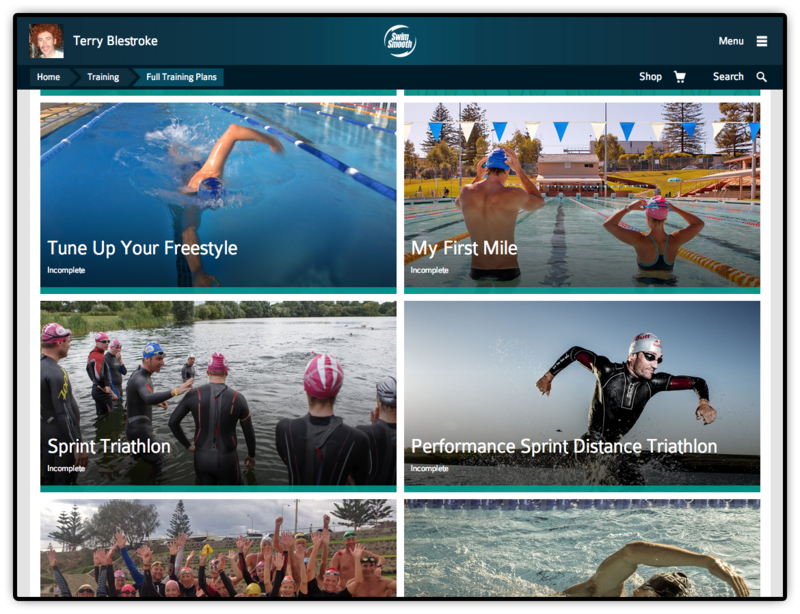 It looks and feels like an app but it actually houses the entire Swim Smooth coaching system: training sessions, full training plans, instructional videos, swim type stroke correction and much more all at your fingertips! My only regret is that now everyone will have access to Swim Smooth's secrets! Whatever your level of swimming, it's your complete swim coaching solution. The Coaching System dashboard (shown above) is the hub of everything you do in the web-app, providing the gateway to all of our coaching content and allowing you to track your development. 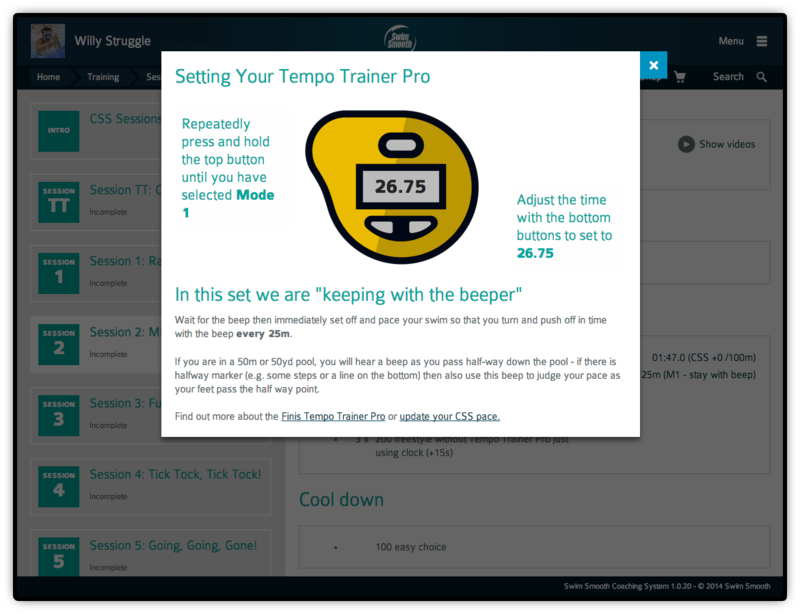 You can also set race targets here and see quick links to your favourite videos and training sessions. 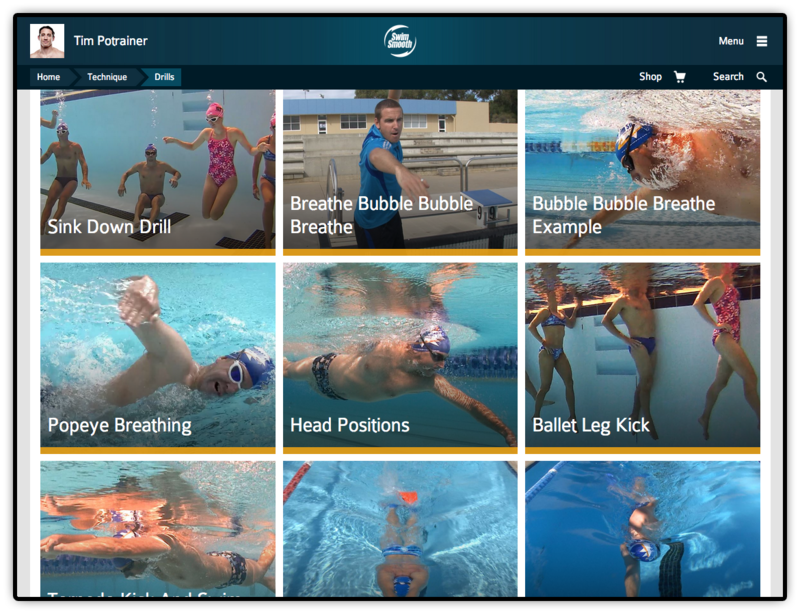 This was a great surprise to see when Swim Smooth took their extremely talented coaching philosophy and put it into an entire online library of drills, programs and fault fixers! I am a coach as well as an athlete and this system has given me great insight into some of the Swim Smooth nuances we cannot get from YouTube, the book (my bible) and even the DVDs! A job well done Swim Smooth! 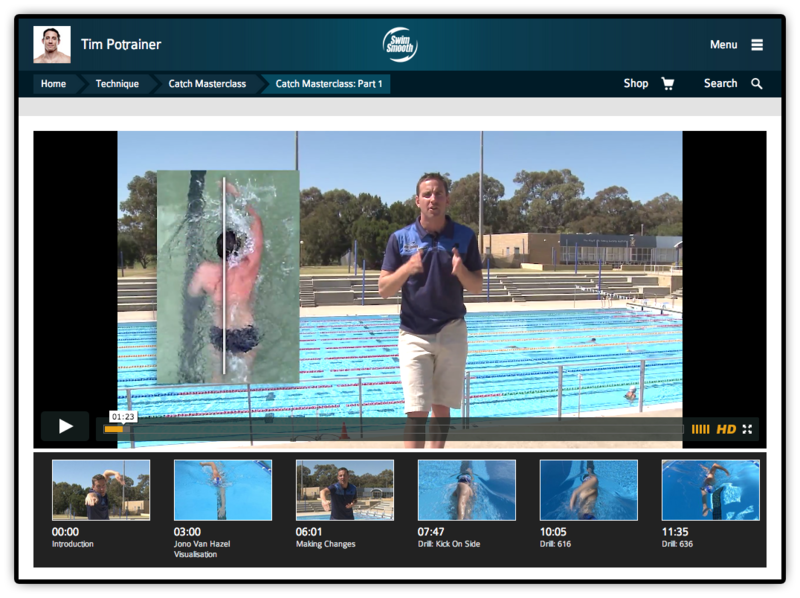 Each process is presented as simple step-by-step instructions to follow and tick off, linking in all the coaching videos, visualisations and drills to get to work on your individual needs as a swimmer. If you've been swimming for a while and become stuck on a plateau then it's likely you've been following generic coaching that isn't working on your weaknesses. Our Swim Type system will fix that and get you moving forwards again. 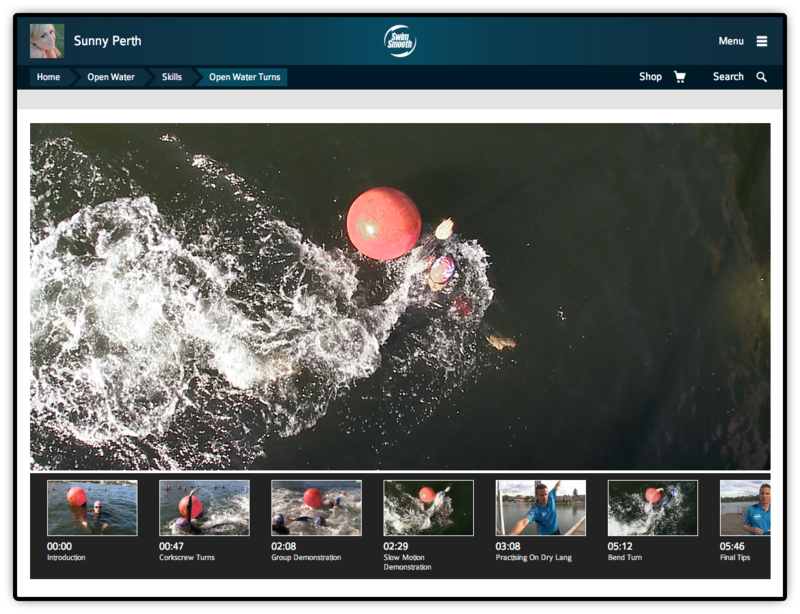 In total the system contains over 25 hours of unique Swim Smooth video, including over 20 hours which has never been released before, all shot in incredible HD*. Collating this much high quality footage has been a real labour of love over the last 2 years! * If you are sometimes on a slow connection you can easily switch from HD to SD footage by clicking the small 'HD' button on the bottom right of each video. If you're new to freestyle and not ready for a full training plan yet then try our special Swim Type Follow-On Plan to build you up to swimming 400m (and further) without stopping. You can print out any session to take poolside or if you're a coach, slip your device into a waterproof housing and connect to wi-fi for instant access to everything. 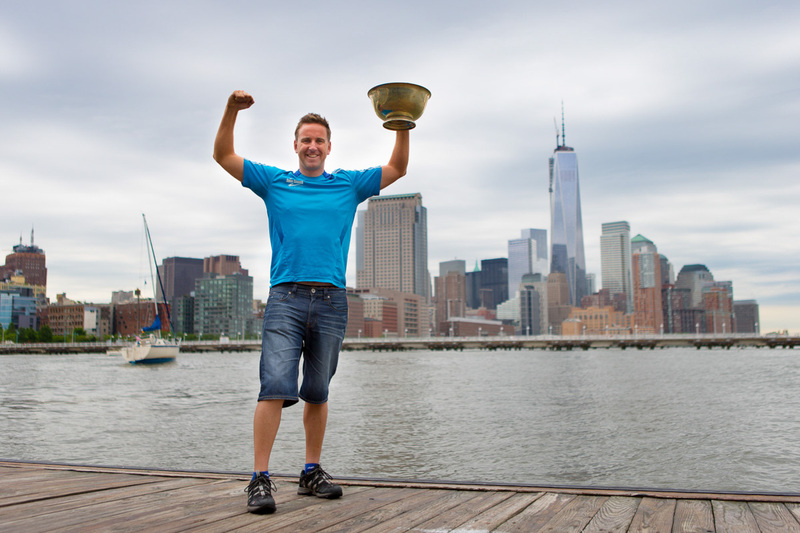 Oh and if you fancy a real challenge we've also included our extensive new guide to Marathon and Channel Swimming written by our very own 46km Manhattan Island Marathon Swim Champion Paul Newsome! Biggest plus for me is the video vault, especially the drills as I find it hard to do from just a description. 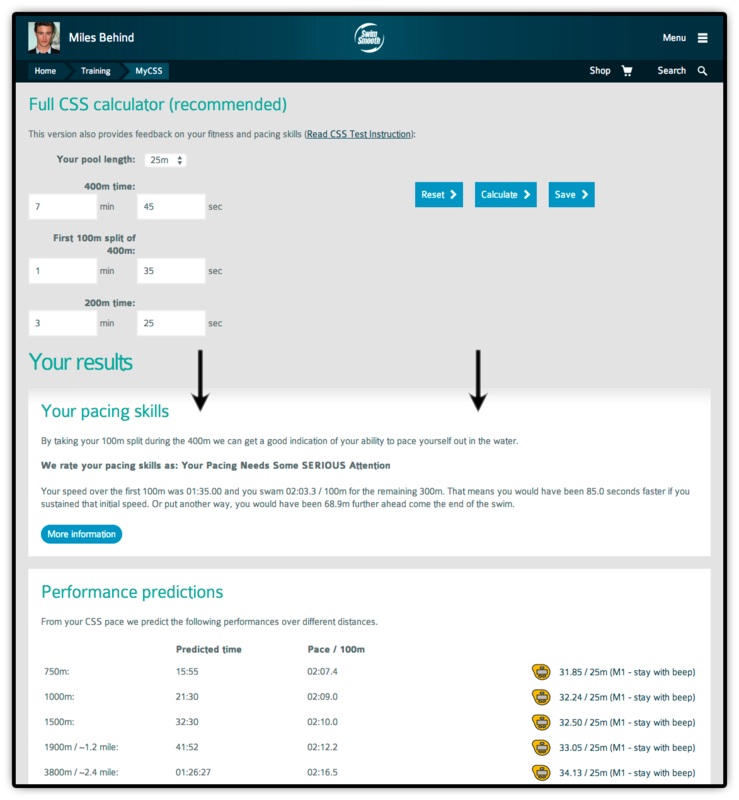 Overall it's easy to manoeuvre and I really love how the training plans automatically set themselves to your CSS. Simples. Definitely more than worth the money. In total there are over 300 sessions in the web-app covering all levels of ability from beginner to elite competitor. 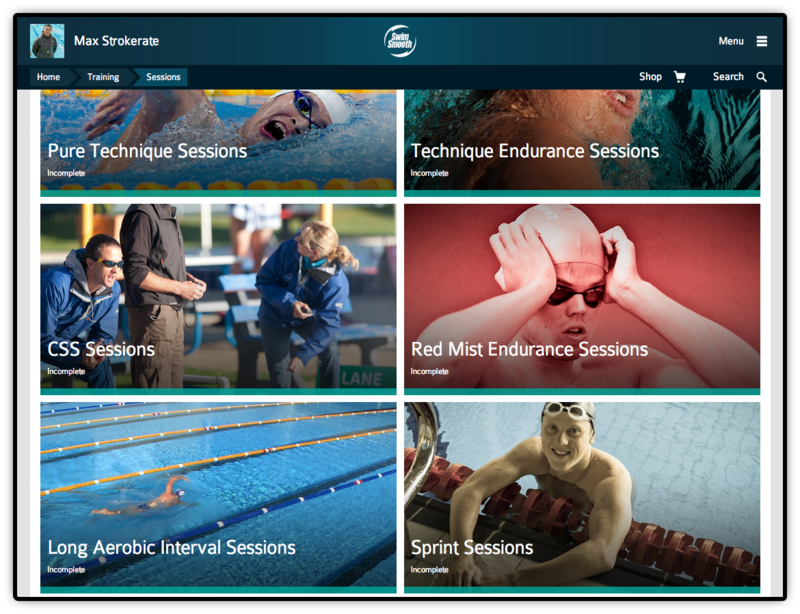 There's an extensive session library too, so if you're a coach looking for a CSS session for your squad that evening or a swimmer looking for a technique session, it's all there at your fingertips! 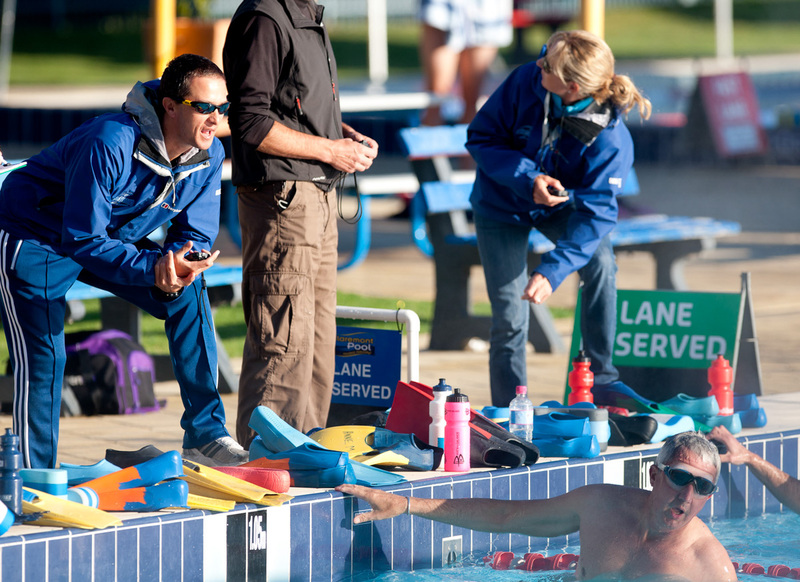 The whole system, set up and ease of use is typical of Swim Smooth's approach and philosophy on coaching. 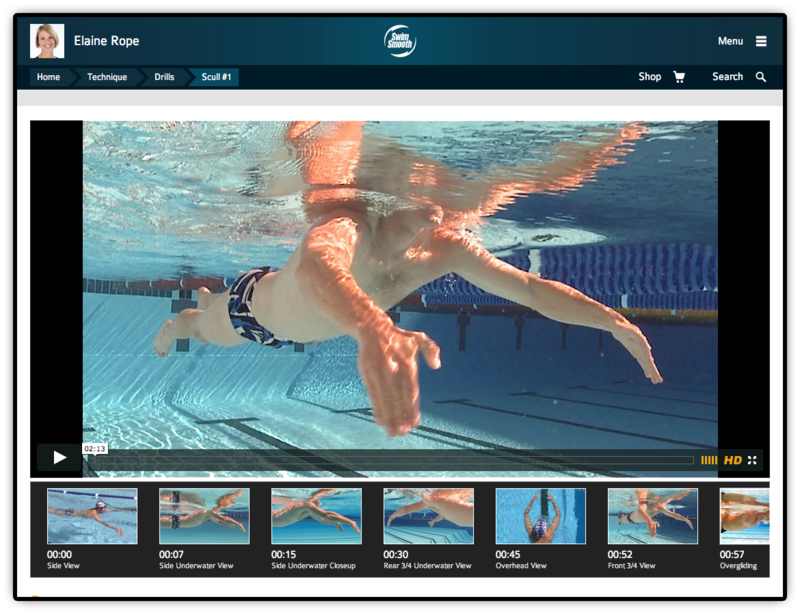 Watch each athlete up-close and from every conceivable angle to give you an amazing insight into why they are so quick through the water. 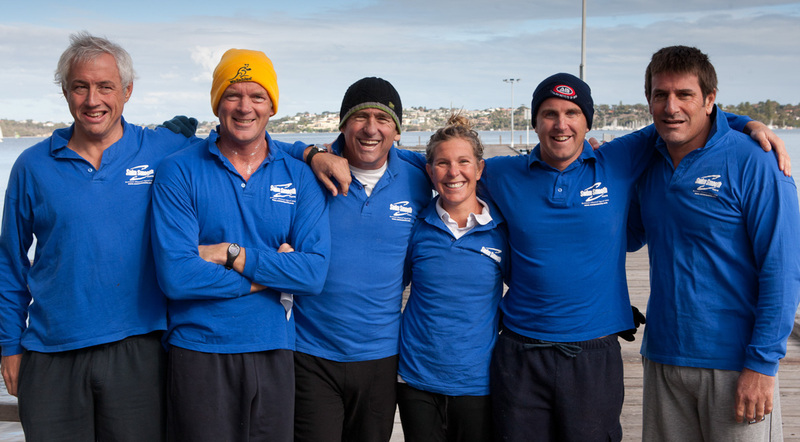 As well as Rebecca the set includes the world’s fastest triathlon Swimmer Richard Varga, Olympian Jono Van Hazel (aka Mr Smooth himself), World Triathlon Champion Tim Don and 7 Times Word Marathon Swimming Champion Shelley Taylor Smith. I think the web-app is great!! The way I like to use it is to watch a focus area, try and practice it and then go to the elite page and watch each person and how they do it. I think it has the fab combo of using all the different techniques of learning -so it appeals to everyone: there are reading bits; things to out in practice; clips to visually watch it in action; and training aids discussed to help people feel it. You couldn’t have made it easier to use and the training plans are fab! This is online coaching hitting a whole new level. I love it! 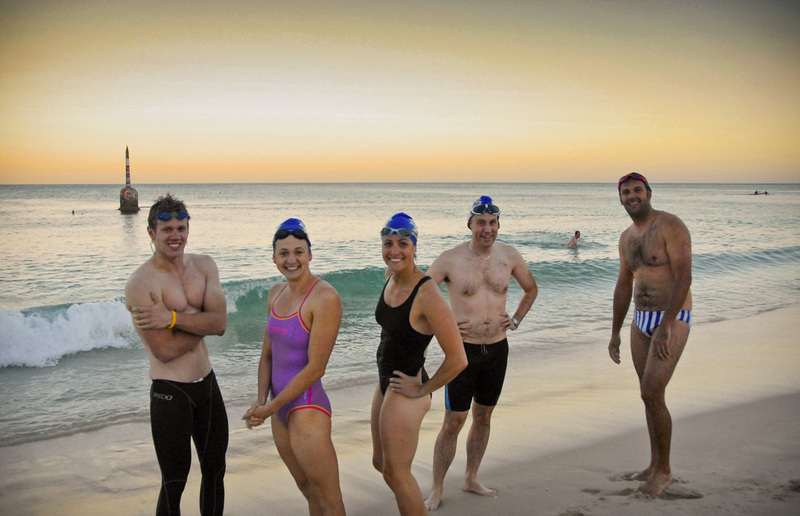 An absolute compendium of freestyle swimming information for triathletes, open water swimmers and coaches. I feel it will be very well suited to the many triathletes that train solo or only with a few friends of a similar standard. They want to improve so here is the knowledge. Easy to follow with both written and video explanations. No searching Google and Youtube its all here trust-worthy and consistent. 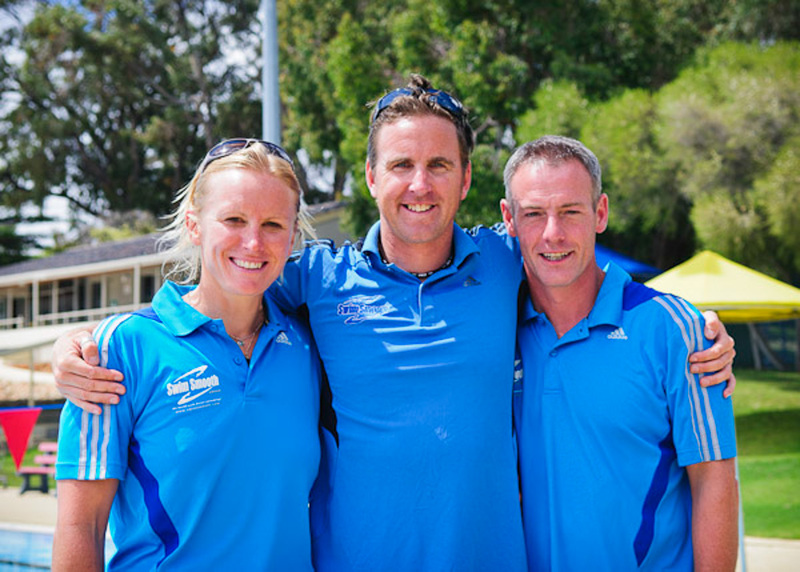 Swim Smooth offers you the most highly developed and respected coaching system in the world used by British Triathlon, Triathlon England, The ASA (Open Water) and The International Triathlon Union governing bodies for their coach education. If you're coaching under one of these governing bodies yourself the new web-app based system makes the perfect companion tool to develop your coaching knowledge and skills. As an athlete, it tells me what paces I need to be training at - there's no hiding from the numbers! It also allows me to access so many training sessions that the possibility of boredom no longer exists. Keeping this Smooth motivated is no mean feat!! As a coach, It's the single best tool in coaching my triathletes to become better swimmers. It helps me know where they're at and how to make improvements. For my athletes it helps them better understand their swimming style, the drills needed to improve their biomechanics and the type of training needed to improve!! It covers all area's and ultimately makes me a better coach!! * Our 3 month special introductory offer ends of December 22nd! 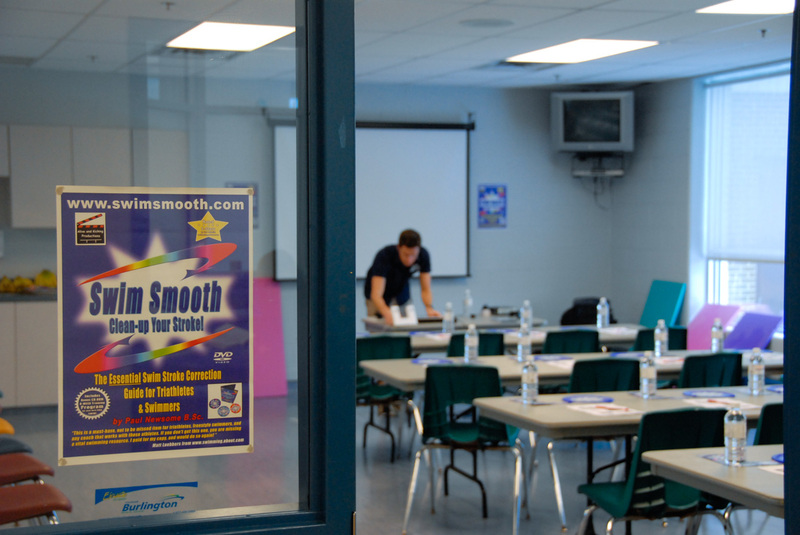 If you have a question about the system or which plan is right for you then don't hesitate to send us an email to customerservice@swimsmooth.com and we'll get right back to you. 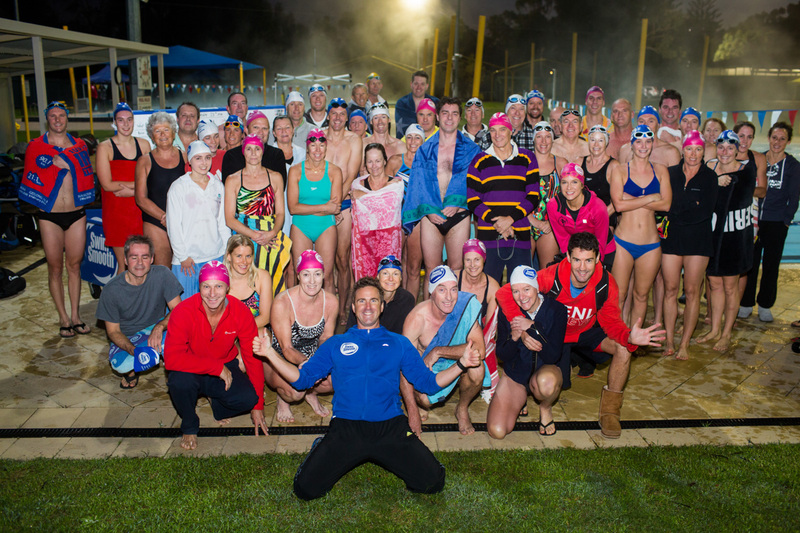 Swim Smooth's 10 Year Anniversary - The Journey Is Just Beginning! 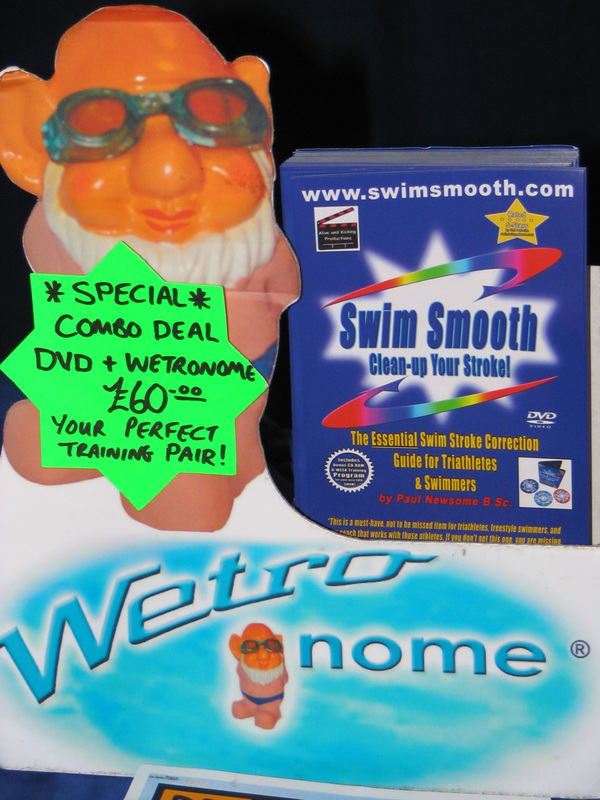 This week marks 10 years since the release of the original Swim Smooth website and the launch of our original DVD Boxset! 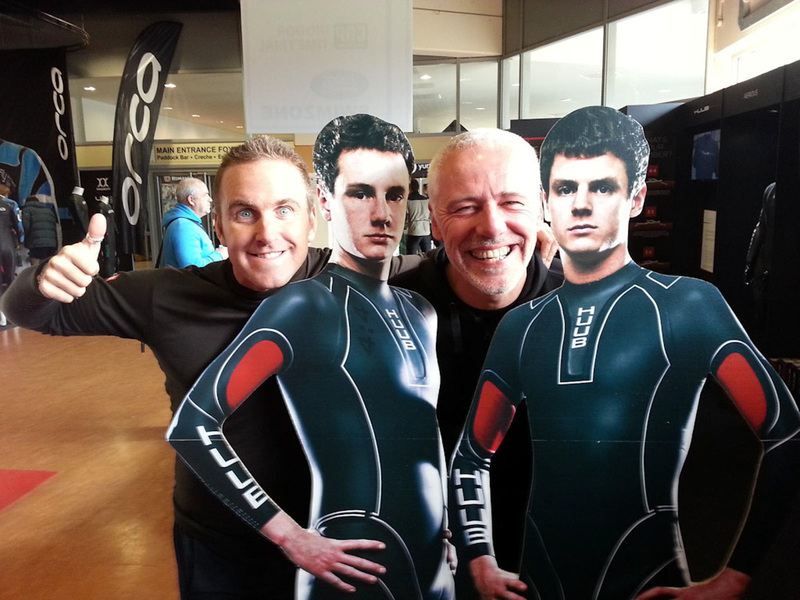 We've dedicated the blog this week to indulge in a little nostalgia looking back at our beginnings and giving you an insight into how we've grown to be recognised as the world's leading coaching company for swimmers and triathletes. But as you'll see over the next weeks and months, the journey is only just beginning! Paul (left) was king of the sideburns, even at age 6. 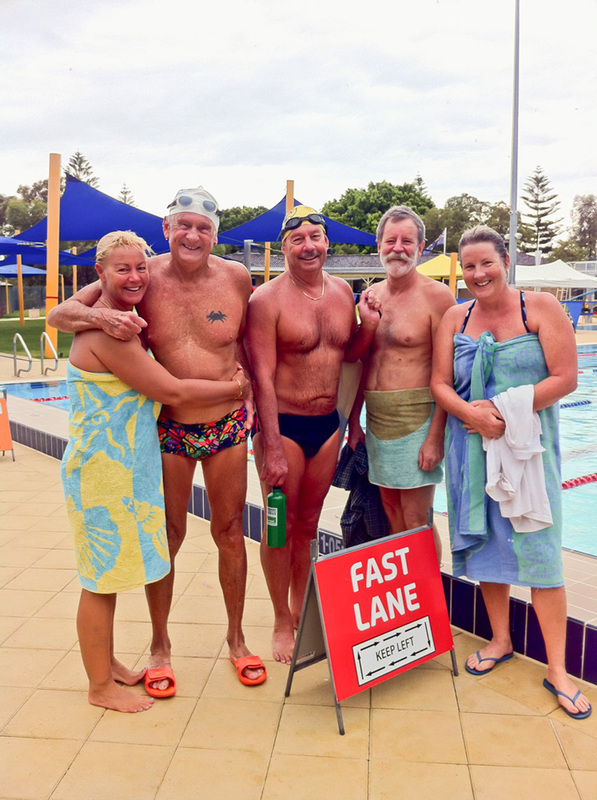 I had always been interested in video analysis and stroke correction as a young swimmer at the Hull Olympic Club when B-Squad coach Eric Elbourne told me that I’d really benefit seeing my “Steam Boat Willy” stroke on video. Sadly that opportunity never came about but a seed was planted that would see me attend the University of Bath's Sport & Exercise Science program and make biomechanics and coaching my studies of choice. 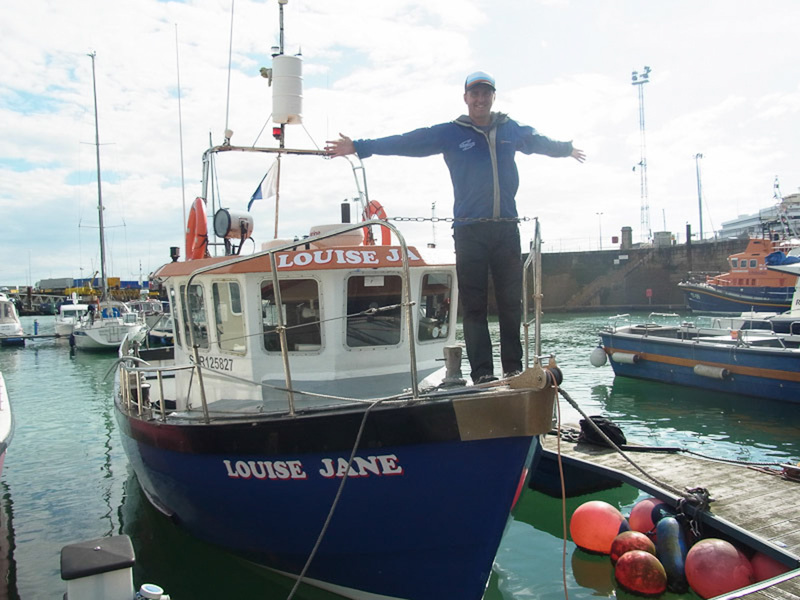 It's number 3, Paul from Yorkshire! 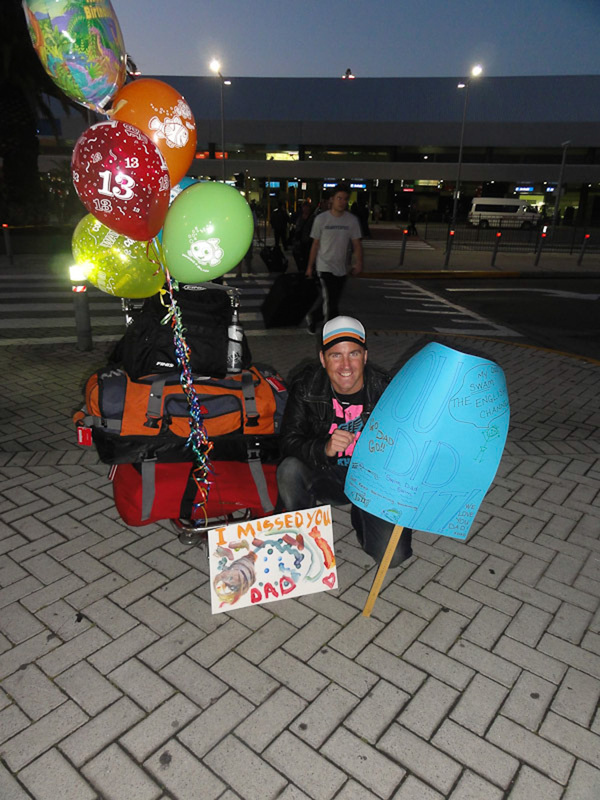 ...I packed my bags and left my pursuits of professional triathlon behind me heading for the golden beaches of Australia. 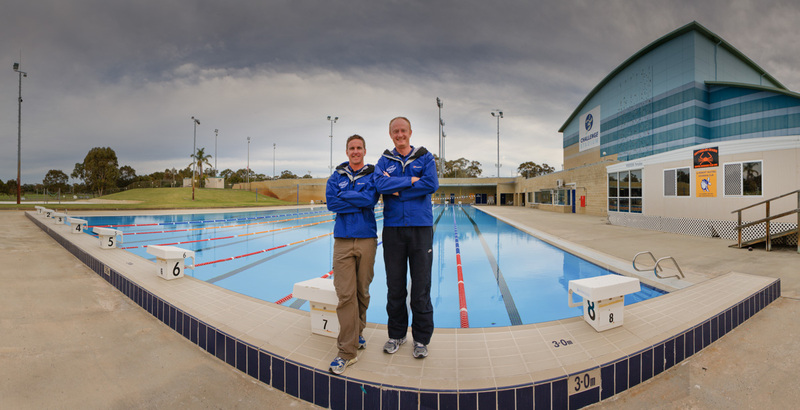 Here in Perth I started my coaching career running the coaching program for Western Australia’s largest triathlon club, Stadium Triathlon. 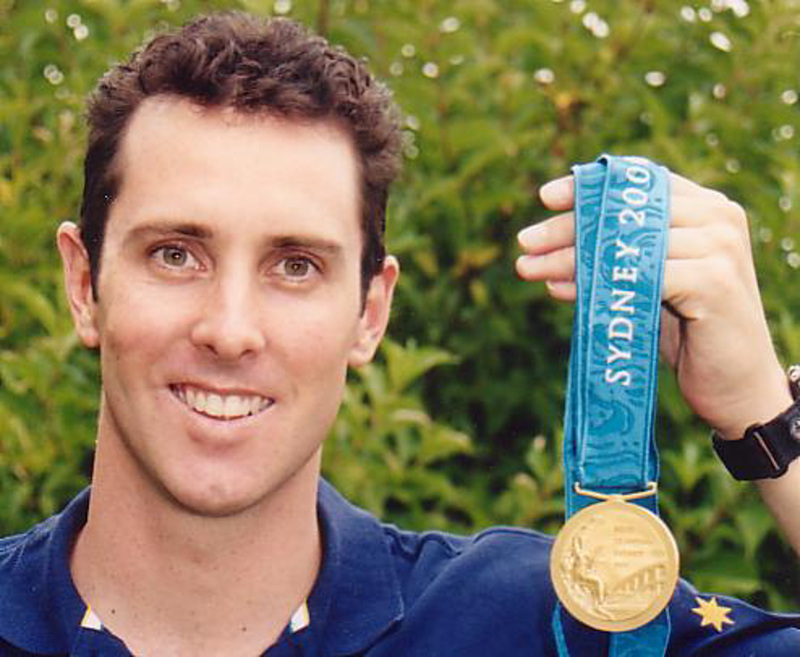 I began utilising the knowledge I'd taken on from university by applying this to coaching in the real world, working with athletes of a huge variety of ability and swimming experience. 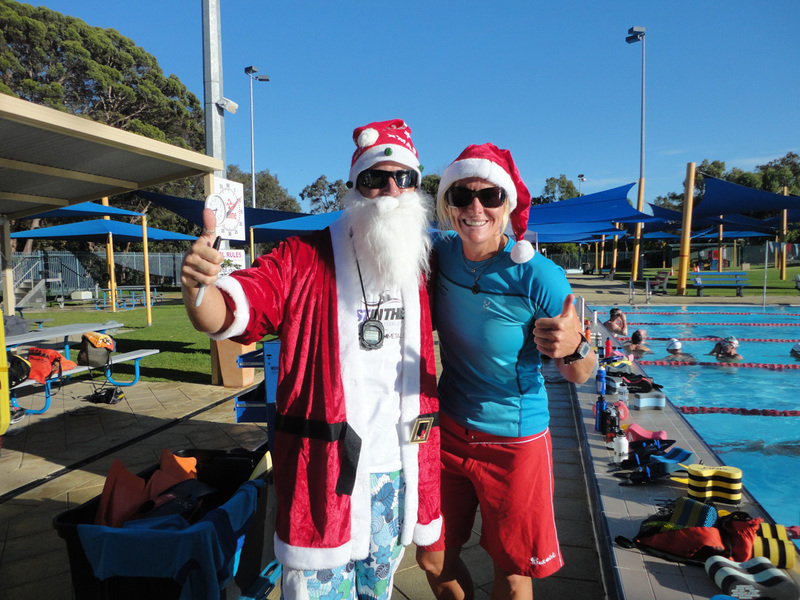 It was swim coaching, and particularly the video analysis, that really enthused me as a coach. I stayed working with the club for 3 years and gained massive insight into the need for an individual approach to a swimmer's development, which in hindsight became the foundations of what we now know as our Swim Types system. 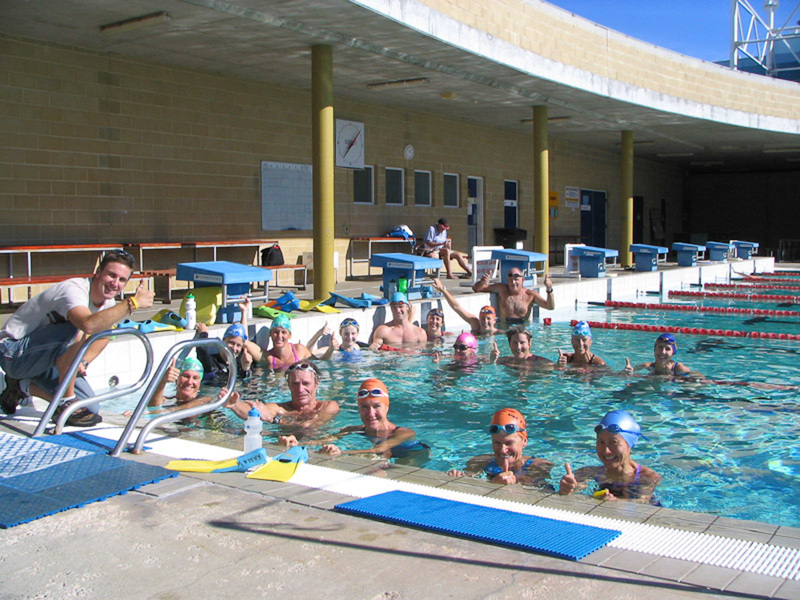 In March 2004 my parents visited from the UK and I can vividly recall excitedly telling them about a plan that I had to create a DVD to showcase some of the drills and techniques that I'd been developing in Perth with the primary goal of being able to educate swimmers in the squad as to the how and why to do certain drills to help refine their strokes. 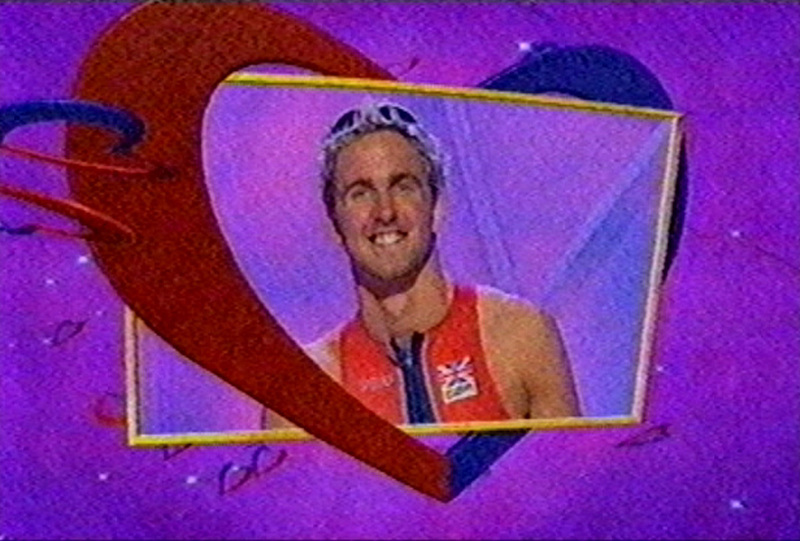 I was also excited about the prospect of drawing upon the training foundations I'd learned as an athlete in the UK on the World Class Triathlon Performance Program under Chris Jones, and how to adapt the freestyle stroke most effectively to the open water through early tuition from Robin Brew. Mum (aka "Mother Smooth" who is still a much loved member of our team to this day) and Steve loaned me the finances to start this project and we set about a six month project of filming all the information I wanted to cover. The whole project was run on a (very) shoe-string budget (including the original three versions of the website) but from small things did big things grow and this DVD Boxset has continued to be one of our best selling items. Sometimes you just have to start an idea rather than wait until you feel all the moons and planets are perfectly in alignment - procrastination has been the killer of many a great idea. 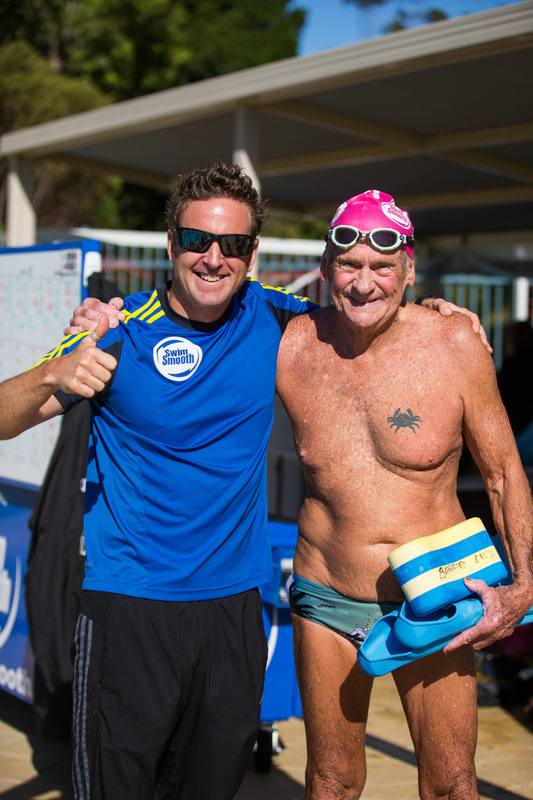 The website and DVD Boxset featuring Olympic Gold Medallist Bill Kirby OAM was launched on 21st December 2004 to a highly eager audience at the famous Challenge Stadium in Perth. 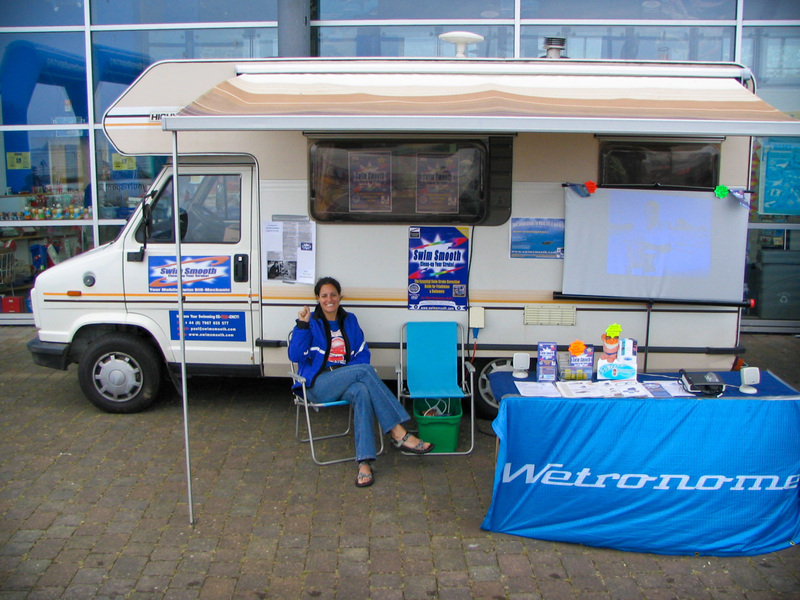 We ran this in conjunction with a gadget manufacturer called Wetronome (whose product you might remember!) who we worked with for many years to come. 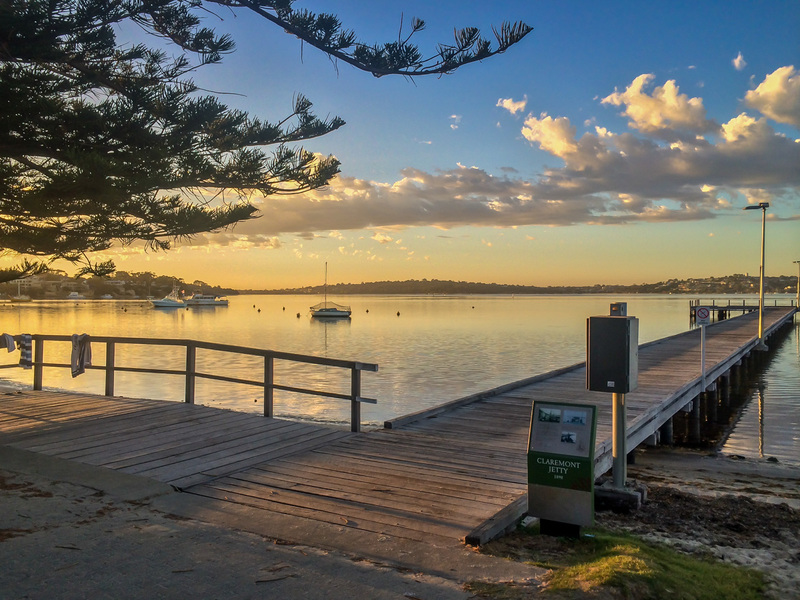 2005 saw the expiry of my Australian visa and a decision to literally try and take Swim Smooth to the world but it wasn’t plain sailing from the get-go! These days our clinic series sell out in our 15 minutes but in stark contrast our very first clinic in Ealing, London (UK) attracted just two swimmers! My girlfriend (now wife) Michelle and I battled on, attending races and events all across the UK and Europe in our beloved Swim Smooth “bus” affectionately named Sid. We even followed the Tour de France around in the hope of some coverage on French Television. Sadly this did not occur - c’est la vie! We rounded out 2005 with a successful clinic series in Ireland which thankfully fuelled the fire of possibility going forwards. In 2006 after a six month stint in the UK & Europe, we decided to try our luck in Canada but as you’ll see from the image below, this was even less successful than the UK. Of course this was before the swimmers arrived. 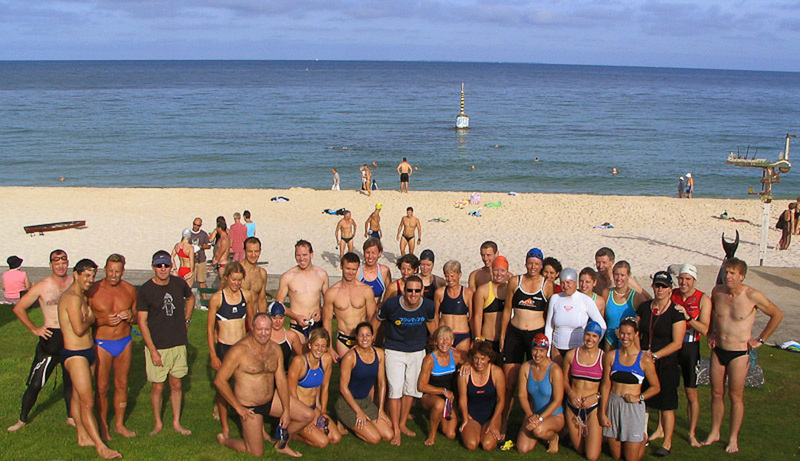 Looking back now 2006 was a foundational year as I invested a lot of time into helping swimmers understand swimming better and improve their efficiency in the water on various swimming and triathlon forums. I acted as an Agony Aunt for people's swimming woes and loved the challenge of trying to simplify what is otherwise regarded as a very technically challenging sport. 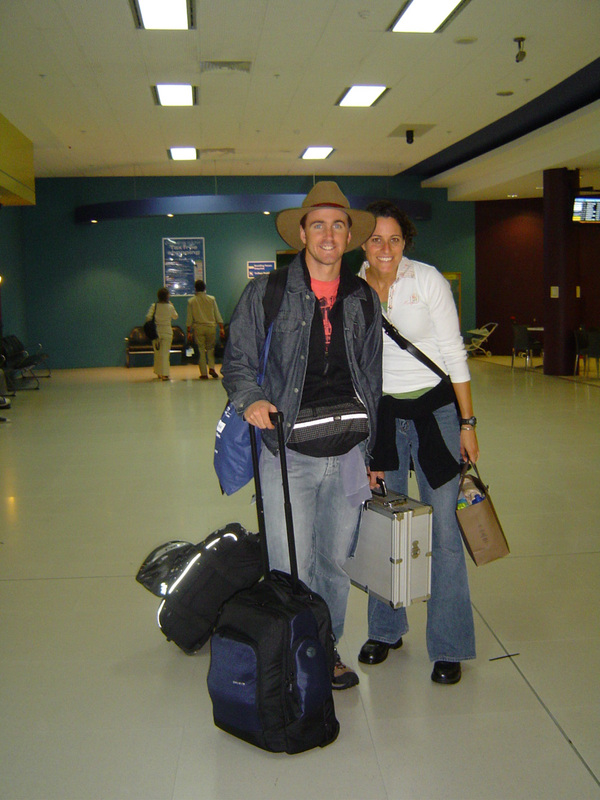 In 2007 Michelle and I decided to head back down-under with the view to establishing a swimming and triathlon squad in Claremont, Western Australia. 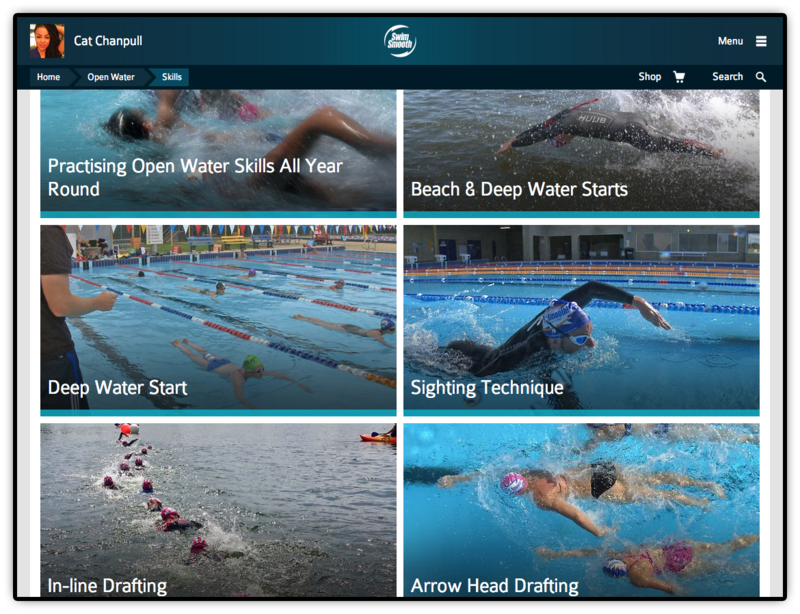 Again this proved to be struggle-town initially but I began the lengthy process of developing a sophisticated 1-2-1 Video Analysis and Stroke Correction service to aid swimmers of all abilities to "discover, understand and apply", improving their efficiency and speed in the water. Then a very fortunate cyber-meeting occurred via the chat forum www.tritalk.co.uk with resident bike / run expert Adam Young (aka “YoungGun”) as we chatted about our shared interest in photography. This lead to discussions about coming out to Perth and learning a little more about what we do and the rest, as they say, is history! 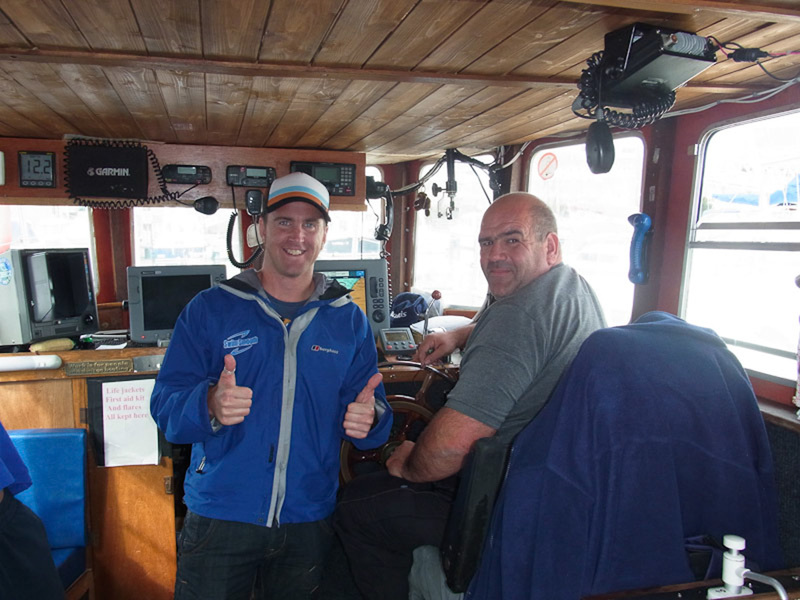 We hit it off immediately and as I felt I needed assistance with some big plans for Swim Smooth asked Adam to partner up with me. 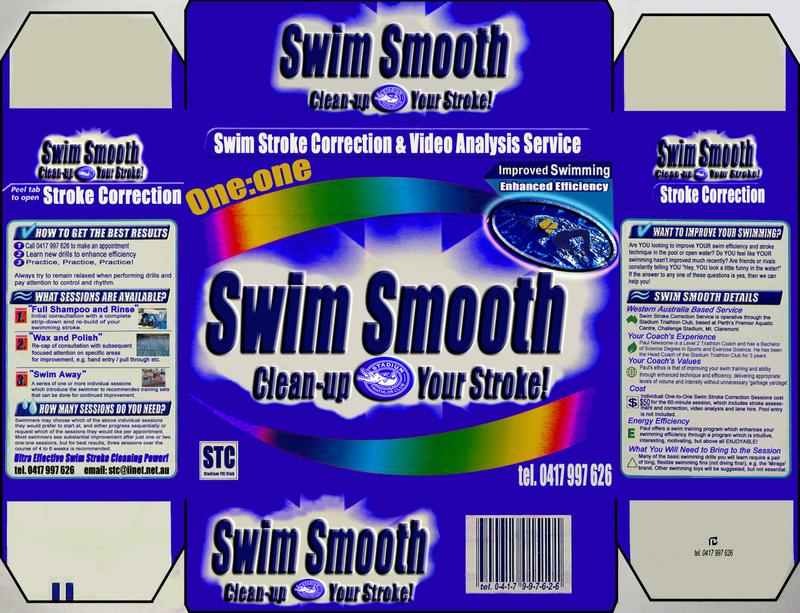 It goes without saying that this has proven to be the single biggest decision in Swim Smooth’s 10 year history! 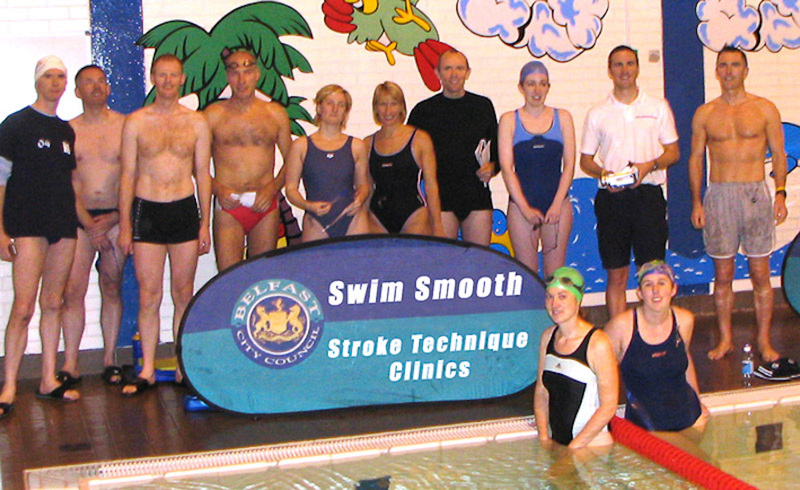 In early 2008 I ran the idea of an individualised stroke correction system by Adam which I wanted to call “Swim Types”. I’d been noticing trends in the way people swam based on their height, build, gender, swimming experience and even personality. It wasn’t embraced immediately so we parked the idea for a couple of years whilst continuing to develop and refine it in Perth. Sometimes you can’t rush a good idea and the time invested in the development of this project proved to be well worthwhile in the end. 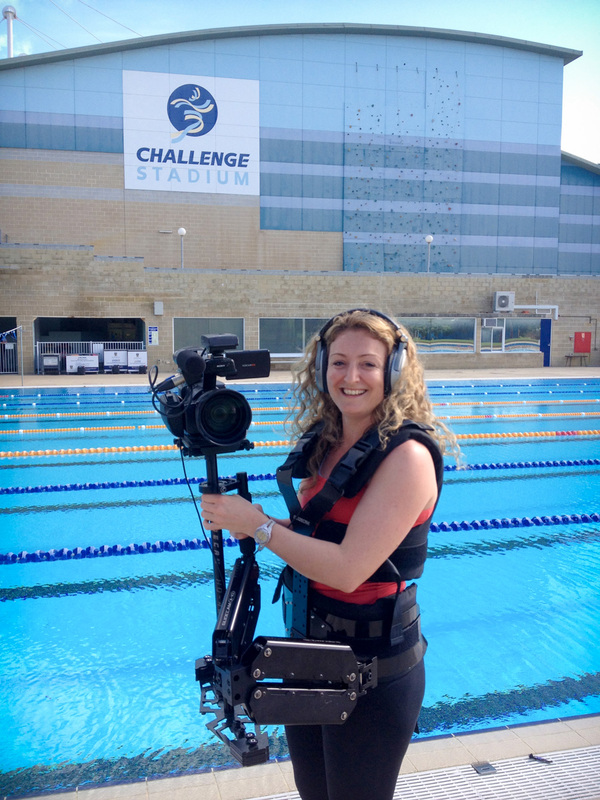 We did however produce our second DVD, Learn-2-Swim From Scratch, in a little backyard pool in a quaint village in Essex which has subsequently gone on to become the foundation for the British Triathlon’s “Teach To Swim” coaching module. 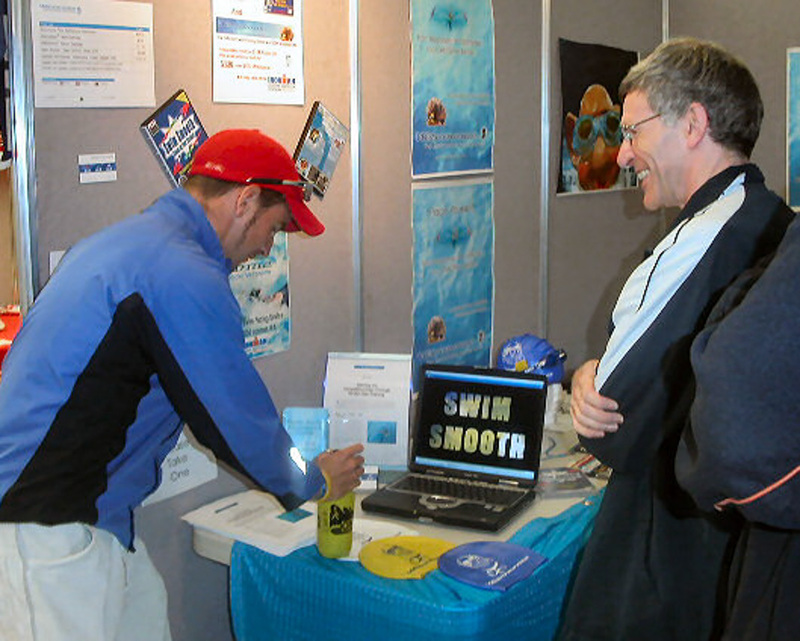 Work also began on the 9-month task of writing the current day www.swimsmooth.com website - a task which seemed tortuous and endless at the time but which has gone on to become the most popular swim coaching website in the world with over 15 million lifetime visitors. In fact if you're reading this blog, you probably heard about us because of that website. 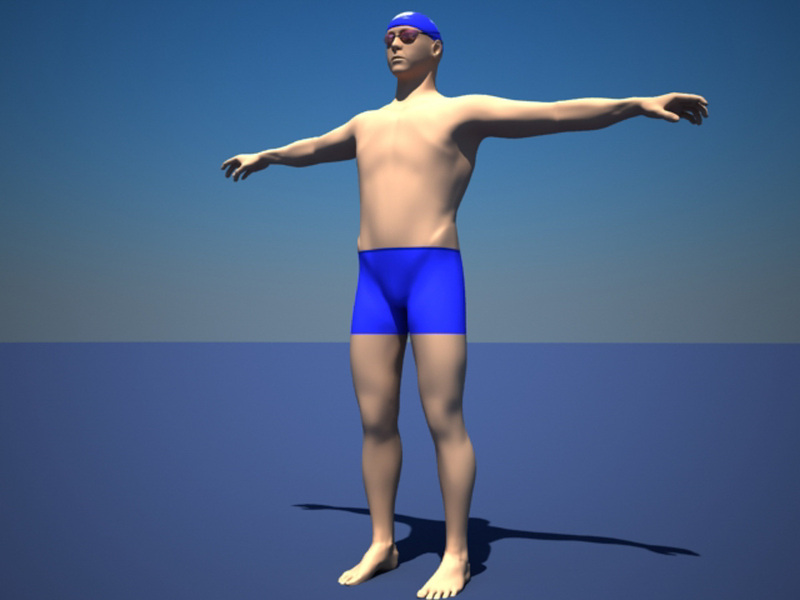 In 2009 in conjunction with the launch of the newly revamped website, Adam had the brainwave to create an animated swimmer to demonstrate an effective freestyle swim stroke from a range of angles above and below the water. Initially the plan was for this to be nothing more of a glorified stick figure, but you know how it goes: I knew a man, who knew a girl, who had a cousin, who was dating a guy who was an animator and before we knew it we had this very cool guy, Mr Smooth, which we gave away for free to every new subscriber to the www. เกมยิงปลา HappyFishing www.w88homes.com blog. He’s proven to be the second best decision we’ve made in the last ten years! (A special thanks must go out to the very talented Jon Allen and Noel Hinton for their work on this project). 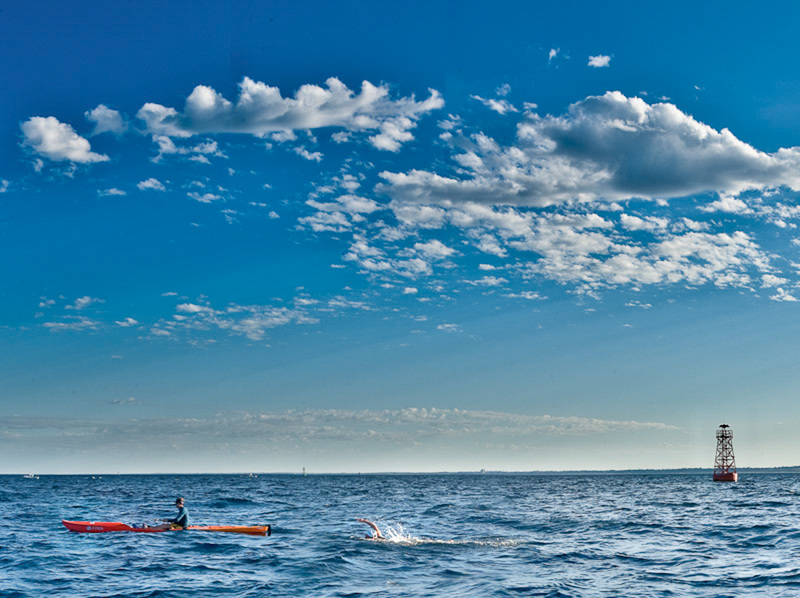 2009 also saw me complete my first channel swim, the 20km Rottnest Channel Swim and with it learning a lot about this new world of marathon swimming. 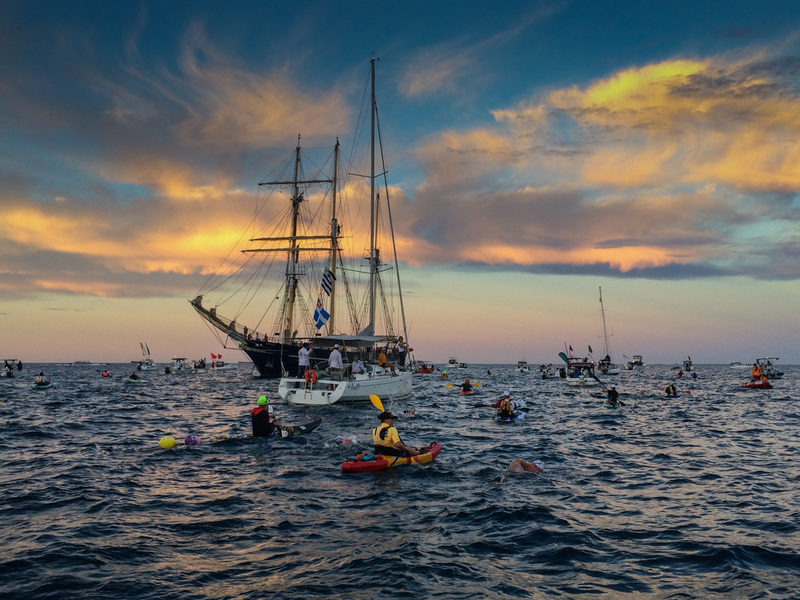 If you fancy a real swimming challenge, you can't get better than this incredible race here in Perth. 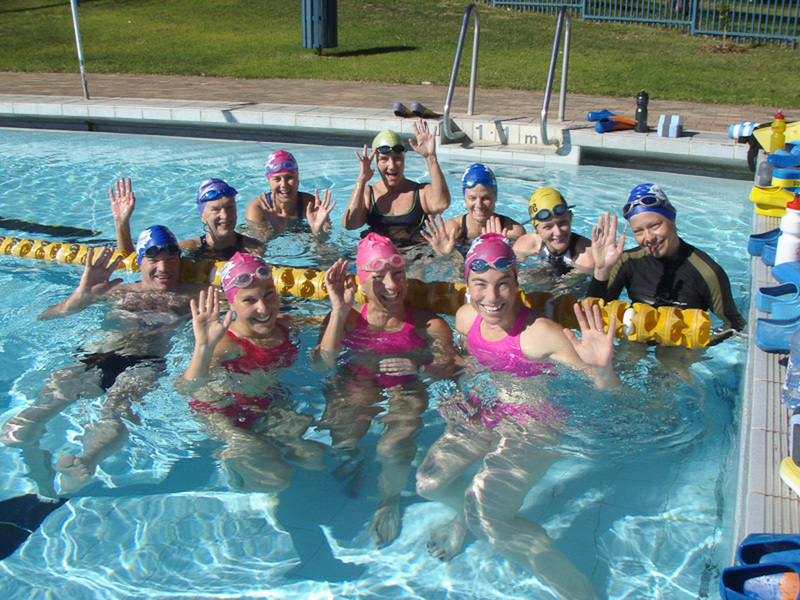 In 2010 we were approached by the governing body for triathlon in the UK, British Triathlon, to help them re-write their swimming curriculum for coaching levels 1, 2 and 3. This relationship has been incredibly important to us and we still feel flattered that BT chose us for this important role - thanks guys. Of course this relationship has paved the way to significant recognition of our coaching in the UK. In fact, if you’re in the UK yourself it is highly likely that your local triathlon club coach has received direct tutelage in our methods and be sharing them with you, perhaps without you even realising it. 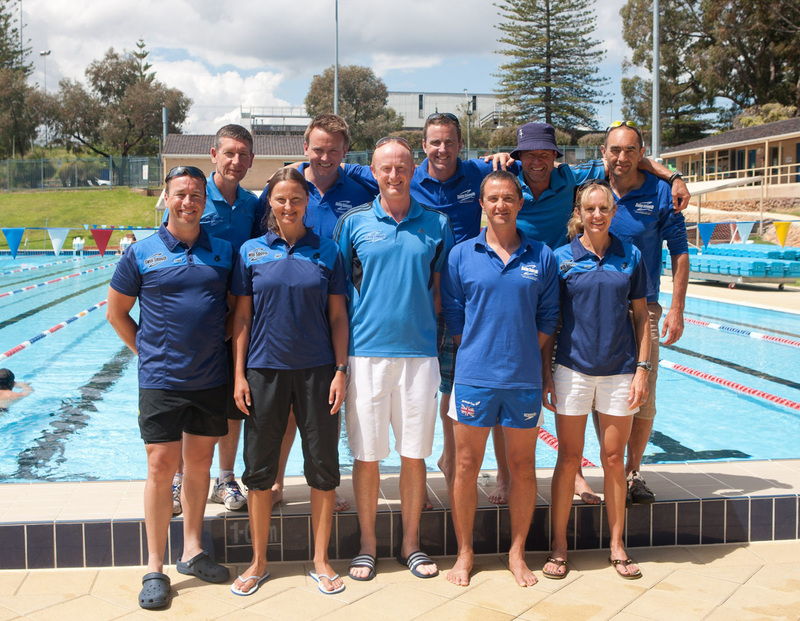 After 2 years of development we also published our finished Swim Types coaching system and launched it to the 12 coaches on our inaugural 3-day Swim Smooth Coach Education Course. 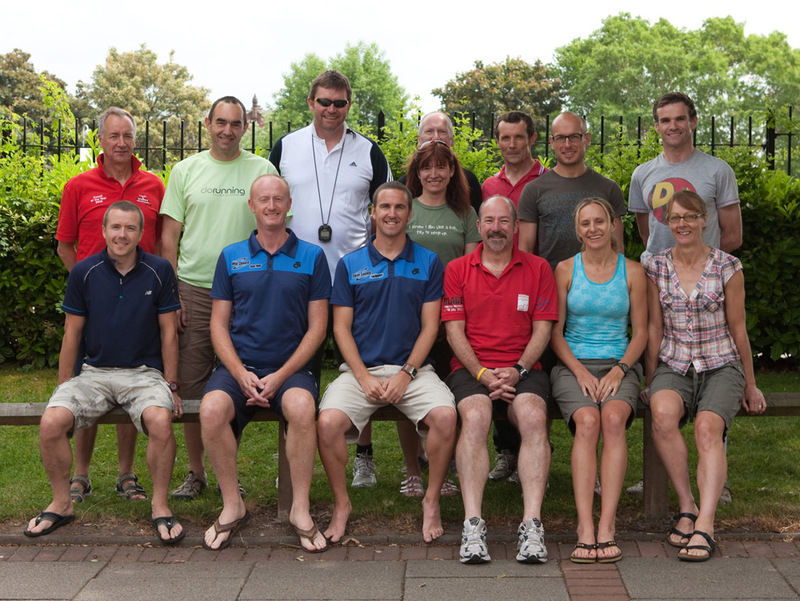 We now run this intensive course all over the world with 210 selected coaches having completed it. We also formed a new partnership with perhaps the most passionate wetsuit designer in the world and the world's top swimming sports scientist, with the mission of creating the world's fastest wetsuits. Dean Jackson and Professor Huub Toussaint had ambitious ideas to set the wetsuit world alight and came to us for our expertise of how different swimmers require different wetsuits according to their buoyancy and flexibility profiles, and their individual stroke technique. Using our combined knowledge we set about creating what has widely become regarded as the world’s most innovative wetsuit lineup, with many others now trying to catch up with these ideas. 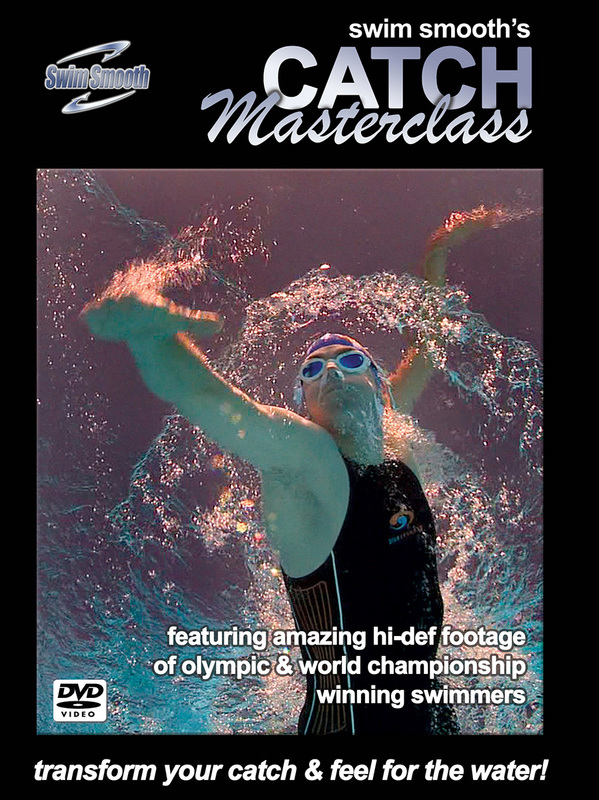 We also released our best-selling DVD, Catch Masterclass, and I had the absolute privilege of being able to film my favourite swimmer of all time, Miss Rebecca Adlington at The Park Club in London, courtesy of Swim Smooth Coach Julian Nagi. Prof. Huub might have the biggest head in the world?! 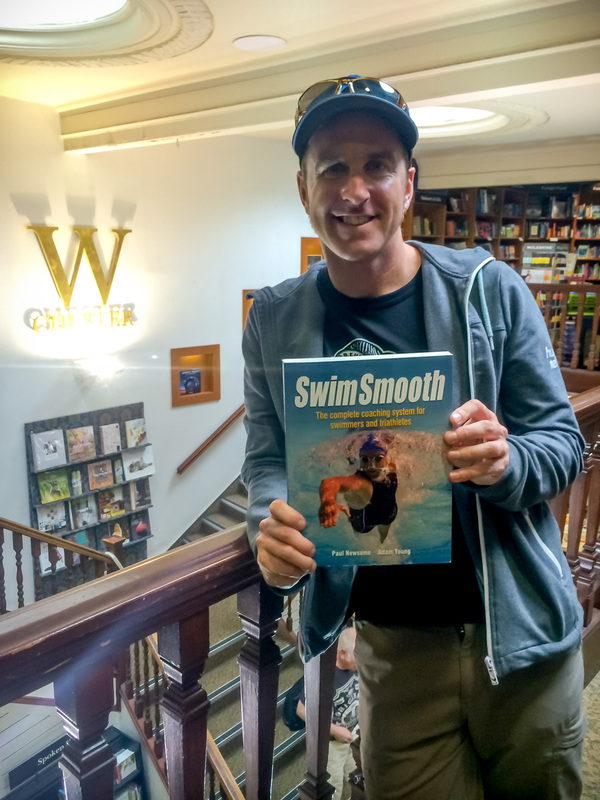 In 2011 we were approached by publisher Wiley & Son to write a book on swimming to help swimmers like you improve their efficiency in the water. A book is a very person thing to write and for that reason this was my favourite project so far. When we released it in 2012 it sold over 2,000 copies on the first day of release and continues to be a best-seller to this day. Outside of pool-deck coaching, at this point in time we only had three people in the core company team - myself, Adam and Linda (Mother Smooth) but in 2012 we expanded to four in the form of a bubbly and ambitious swimming coach Annie Oberlin-Harris. Annie's main role has been leading a top-secret project that we'll be revealing next week... we can't wait to share that with you. 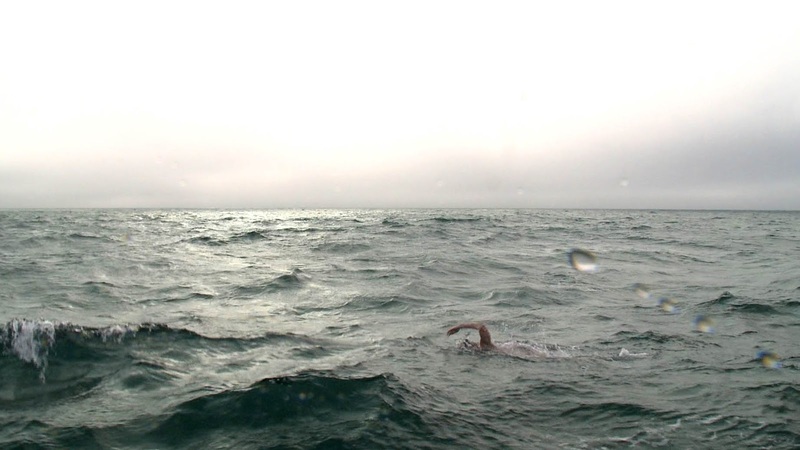 For me personally, 2013 was all about a very, very long swim - the world’s longest marathon swimming event to be precise - a 28.5 mile (46km) circumnavigation of the city of Manhattan, New York. 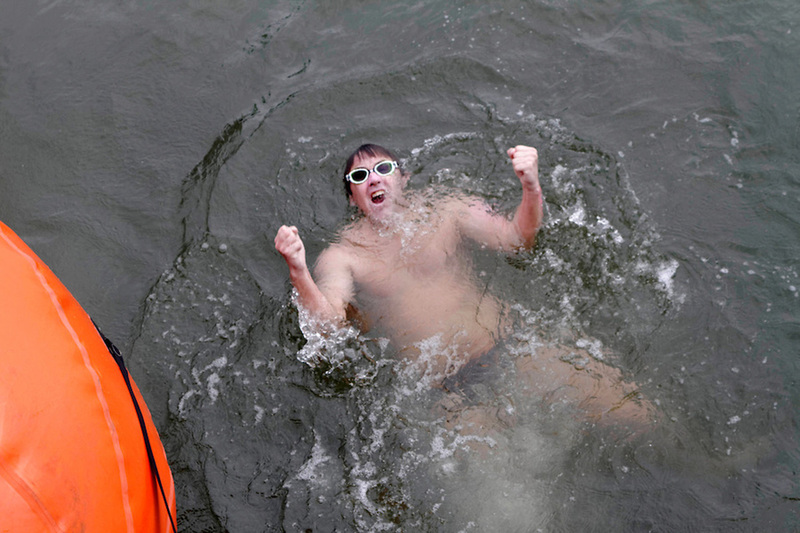 Long hailed as the most “scenic” of all marathon swim events, the course takes you up the East River with the pushing tide, through the ominous Hell’s Gate, up the Harlem River, before a 20km stretch back down the Hudson River. 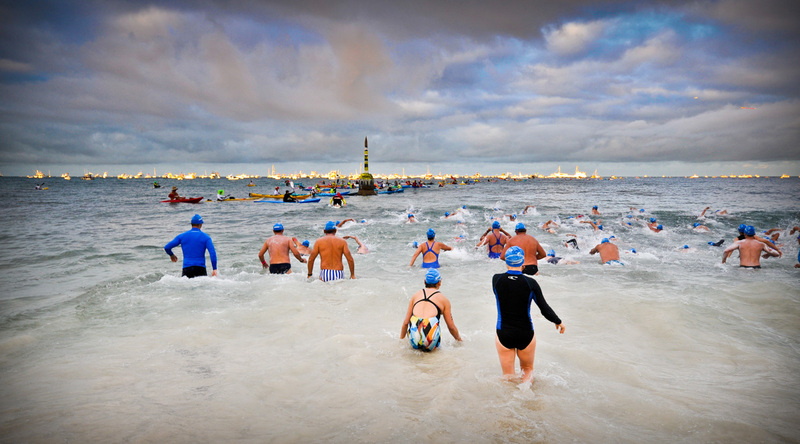 All up it takes around 7+ hours to complete the swim at an average pace of sub-60 seconds per 100m! Crazy quick and super exhilarating. After 9 years of extorting all the virtues of what it takes to swim efficiently in the open water, I felt it best to put my money where my mouth is and to walk-the-walk as well as simply talking-the-talk. The result? A first place finish in an international invitational field - I couldn’t have been happier. It wasn’t the win itself that I took greatest pleasure in, but the knowledge that if you stick to your goals, practice diligently and consistently day-in, day-out, literally anything is possible. 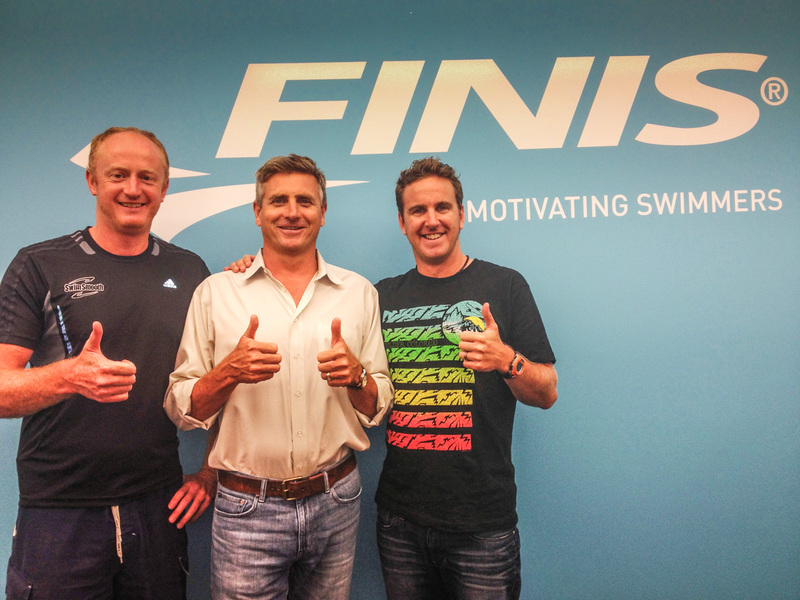 We took the opportunity to take a road-trip right across the US of A, culminating with a visit to see innovative swim company Finis Inc in California and run our very first 3-day Coach Education Course away from the UK, hosted by CEO John Mix and his wonderful team. By now we'd mastered the cheesy thumbs up! In 2014 we have been hard at work developing the partnership with the world governing body for triathlon, The International Triathlon Union, which will soon see Swim Smooth’s methodology being put into practice through 119 country’s respective governing bodies. We hope you are as excited about the future of swim coaching as we are! Now of course the real challenge is to let you be even more closely connected to what we do, to provide you with a platform that allows you to receive all the great coaching that our 450 lucky squad-ettes do here in Perth. How can we make that happen…? Erm, sorry, I’m over my word count (again!!) 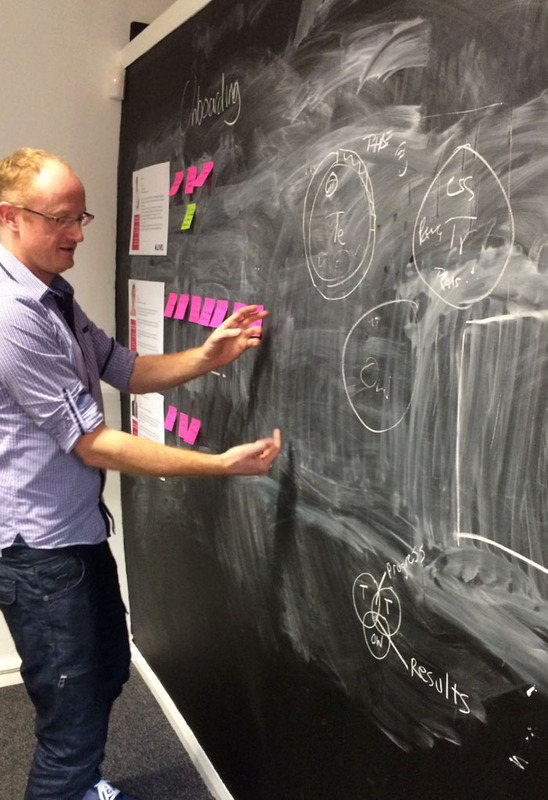 so that’ll just have to wait for next week… here's a sneaky peak of some of the planning - can you guess what it is yet?! 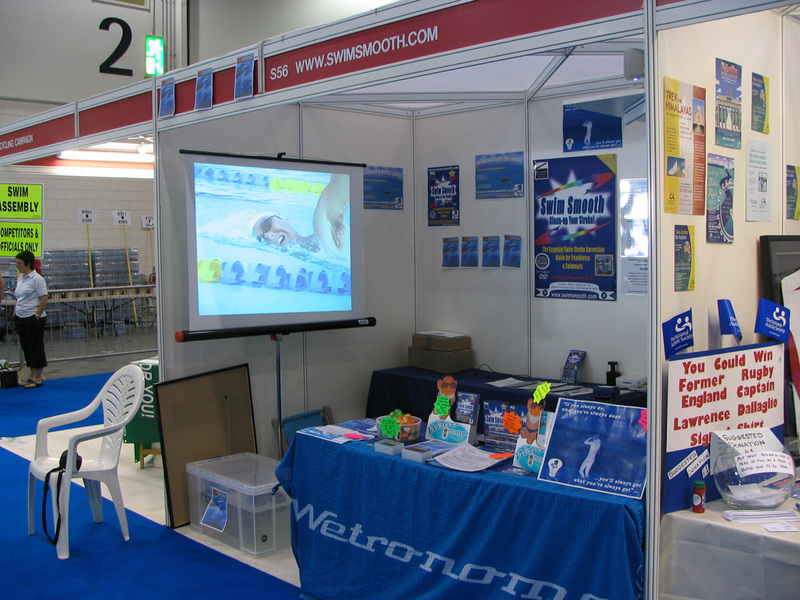 I just want to finish up by saying thanks for following everything we do at Swim Smooth. 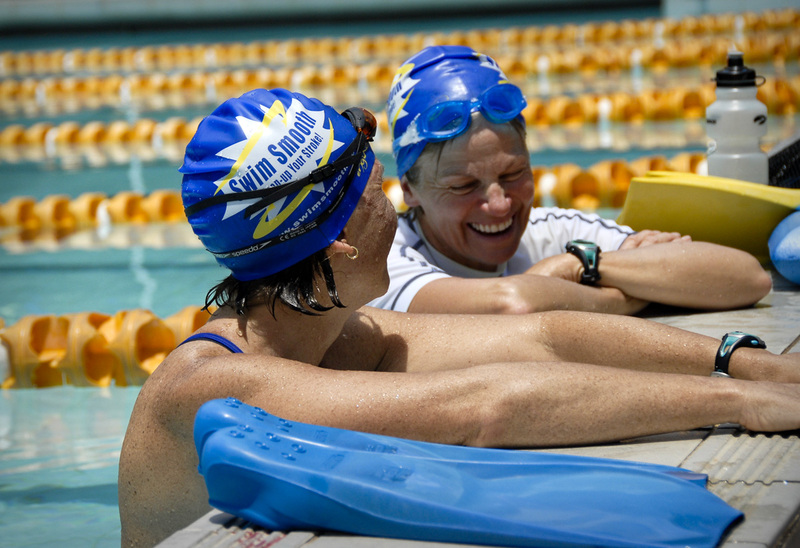 It's fantastic to have your support in spreading the word about better swim coaching and even better to get your emails, tweets and posts telling us how you're getting along and the difference it's making to your swimming. 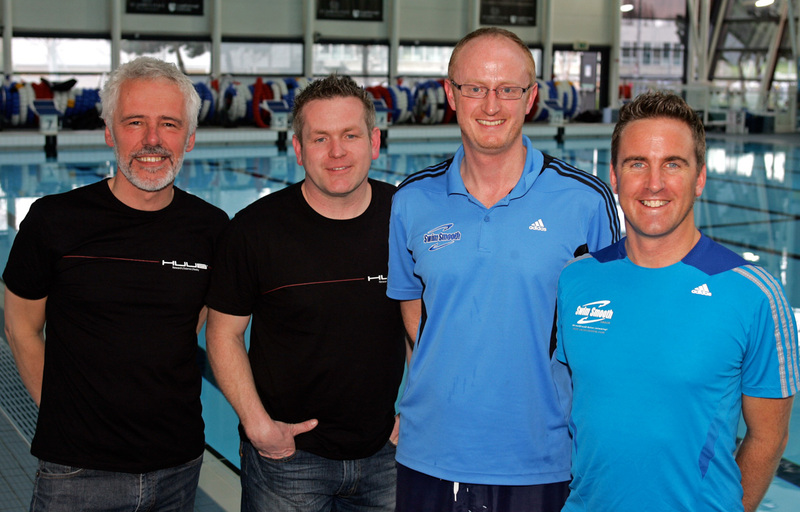 I should also offer a special thanks to the whole Swim Smooth Coaching Team for all your fantastic work, it's been an honour working with you all: Adam, Linda, Annie, Michelle, Cyndy, Martin, Sally, Gabi, Fiona, Emma, Alan, Stacee, Julian, Steve, Brad, Morgan, Dominic, Cath, Sandy, Sinead, Gavin, Lance and Marie.